Ephesians 2:10 states “For we are God’s handiwork, CREATED in Christ Jesus to do good works, which God prepared in advance for us to do”…. 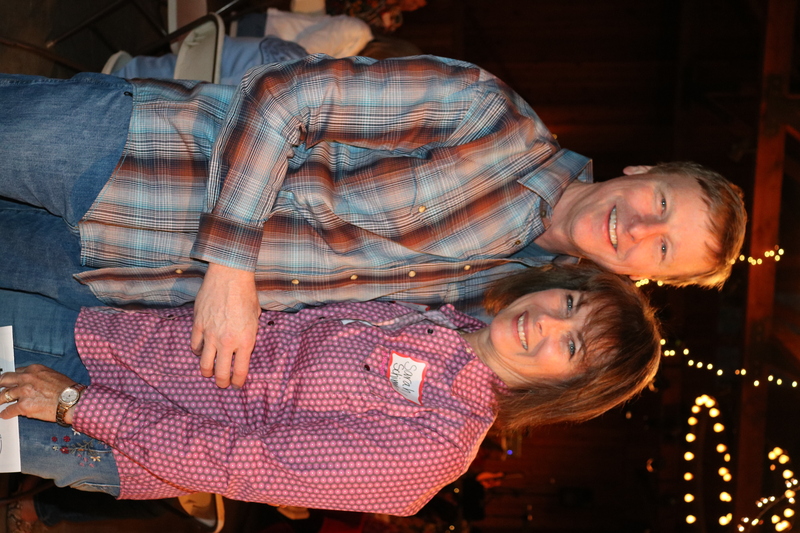 We had just moved here from our desert roots in Arizona/ Texas when I began my teaching journey here at Baymonte. 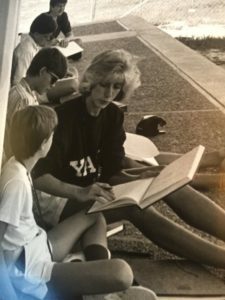 Simultaneously, I was dealing with breast cancer during Mady’s first year as a new seventh grader at the school. 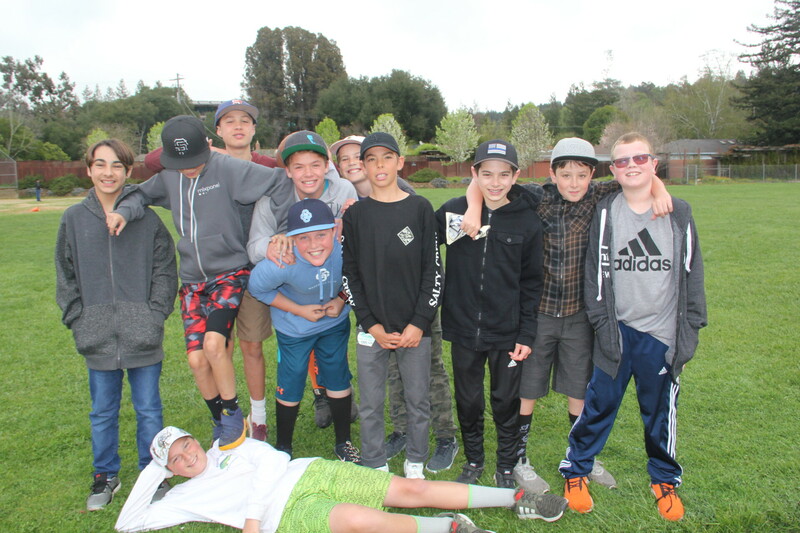 God had led us to the healing waters of Santa Cruz. 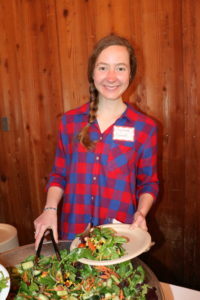 The Baymonte family embraced us with wonderful meals sent home, loads of hugs and teacher encouragement for Mady. We felt blessed. 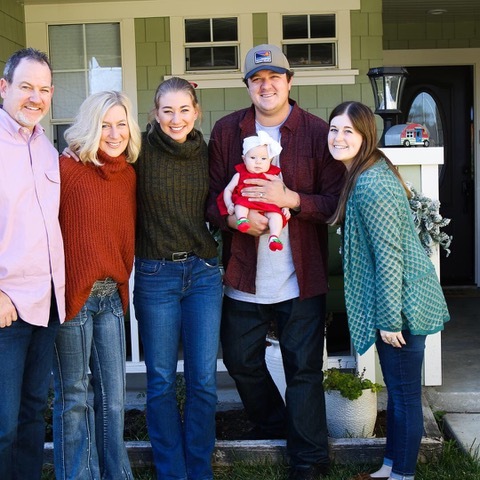 Mady, is now a Sophomore at Cal Poly/SLO thriving in the graphic art/design program, and my older daughter Briana, a wedding coordinator and a new mommy to baby June (and that makes me a NEW and very proud G-mama!!) 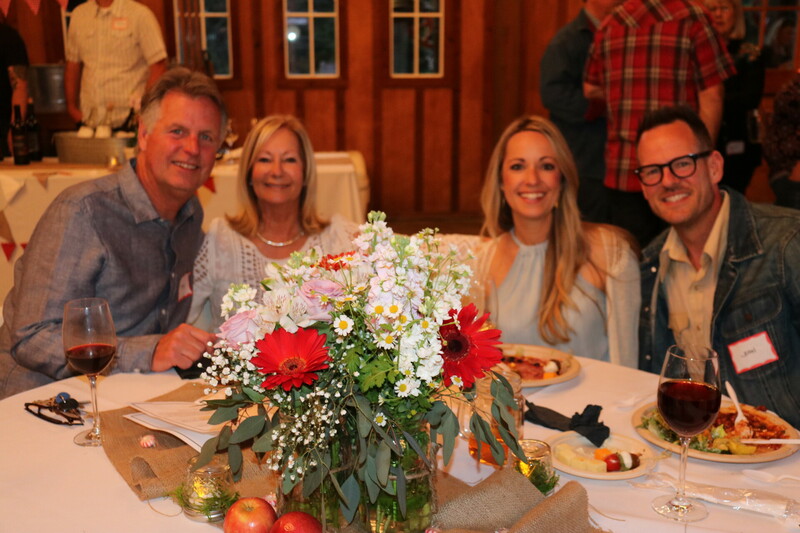 My family is my life and my JOY. 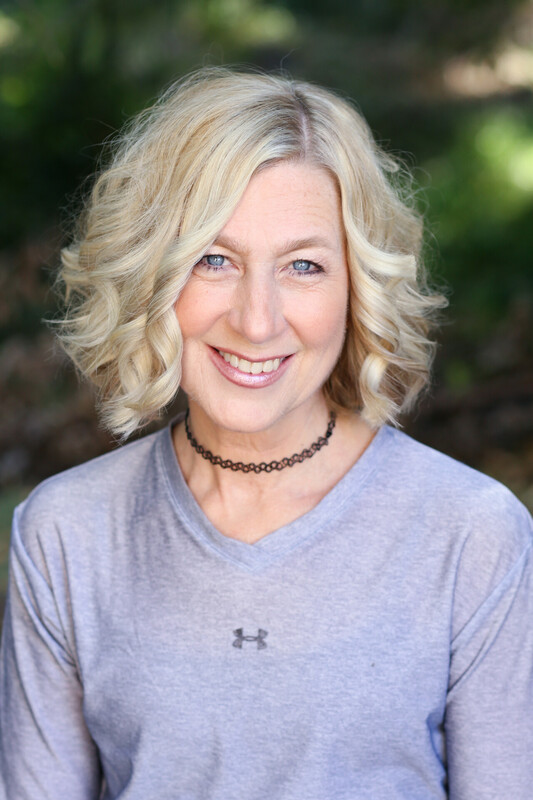 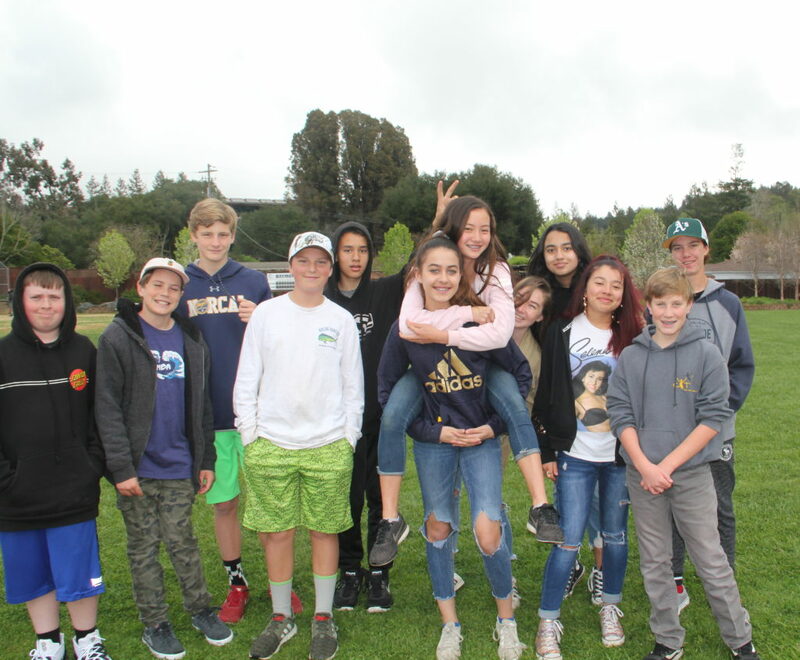 From my earlier years working as a junior high youth leader in my church, I have always loved the junior high age group…they are a crazy, challenging, inquisitive and an ever changing group, navigating out who they are and their belief systems. Even though I knew God prepared me in advance as a teacher and architect, I wasn’t sure that He prepared me to “wrangle” in 18 energetic eighth graders during my remission! 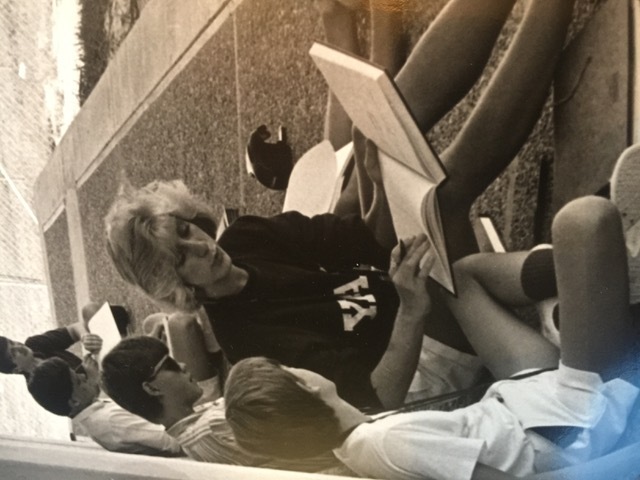 But HE knows all, and after that first year, I was healing and hooked. 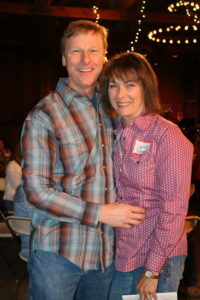 This has always been a ministry of love for me! The first verse of scripture actually describes God’s first creative act, “God CREATED the heavens and the earth” and we are made to be creators as well, just as God created us in His own image. Creating art brings one into focus and presence. 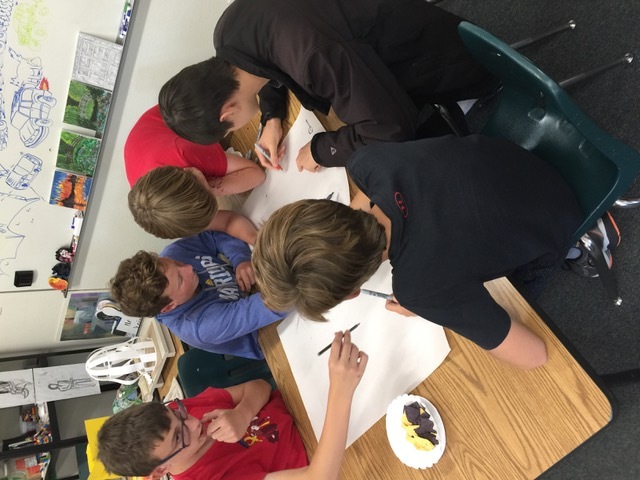 At Baymonte we create art in all different forms, building on design skills and also relationships as team players. 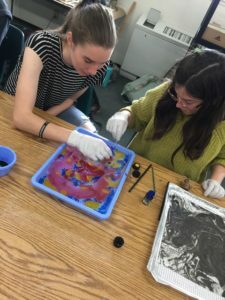 Many students come into art feeling discouraged or intimidated, so I encourage focusing on the exploration of different techniques, tools and varied art mediums. 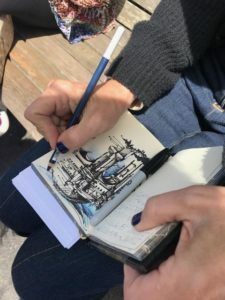 This allows some to shine in pencil and charcoal, while others find their love of watercolor, sculpting with clay, or behind the lens of a camera. 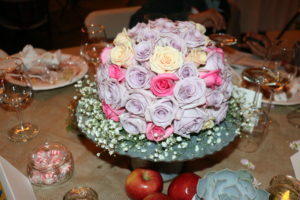 It is all an expression of ART and the creative spirit is favored by God! This year I initiated a sketchbook idea, so the students could find their way into journaling and practicing their skills outside of class. 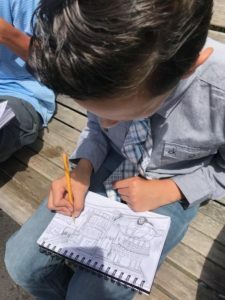 We initiate a weekly drawing prompt that encourages them to draw (sometimes using unconventional mediums) but also to think creatively about how to transform those ideas into visual stories. 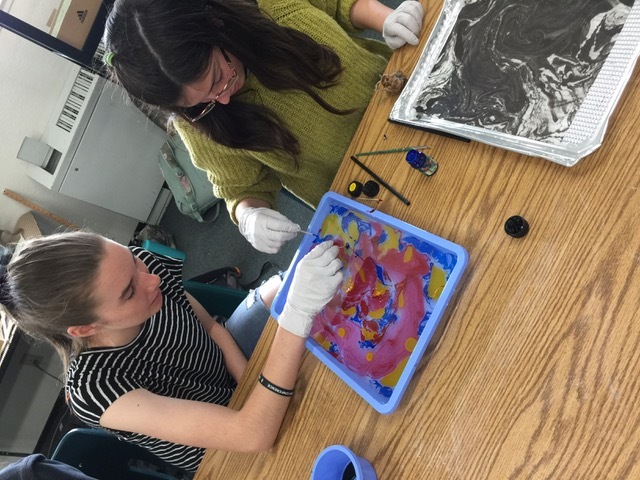 The results have been ART-RAGEOUS!! 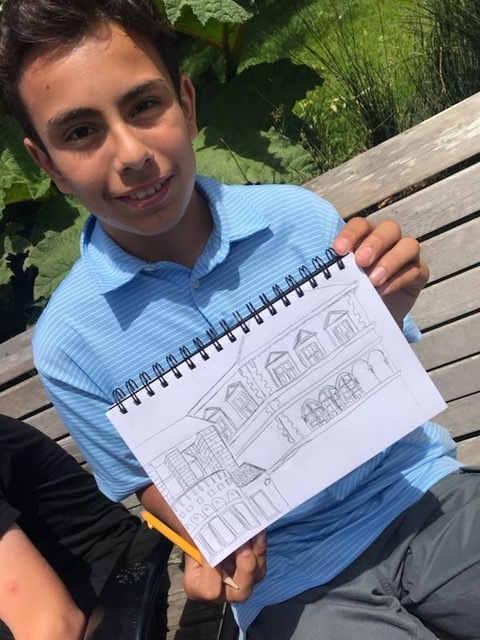 I smile when I see them sharing their sketches with each other before and during class. 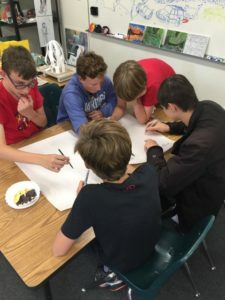 They can track their own growth from the beginning of the year and become more confident in sharing their work with their peers. 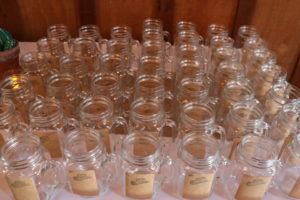 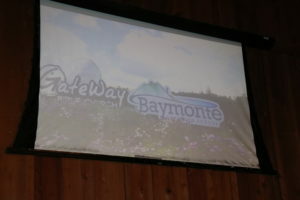 WE cannot wait to share them with all of you at the Baymonte Celebrates the Arts show on Thursday, May 2! 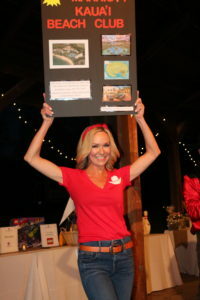 As a practicing architect with my own studio, architecture is my passion. 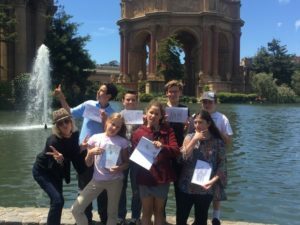 My smaller architecture elective class is very hands-on and I get to know the students much more personally and how they think. 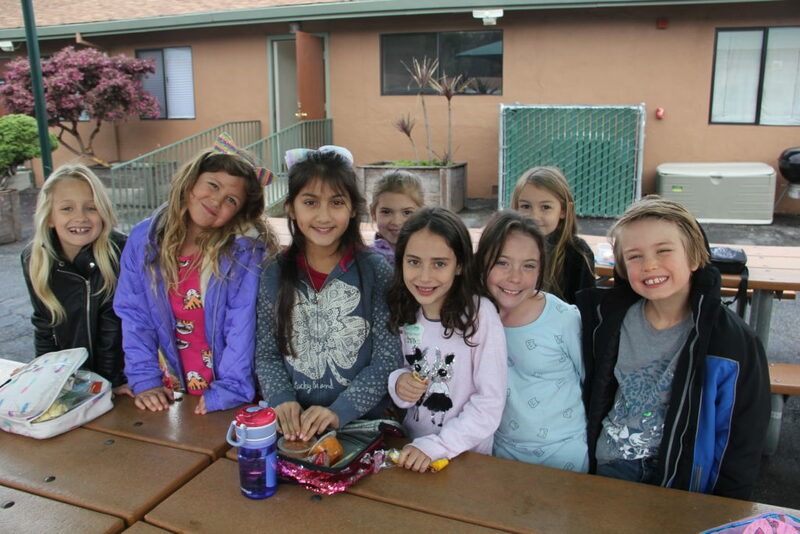 They become familiar with understanding three dimensional space through drawing, modeling and building. We venture out into the field to give them a sense of what architecture firms do on a daily basis and how they make a difference in our built environment. 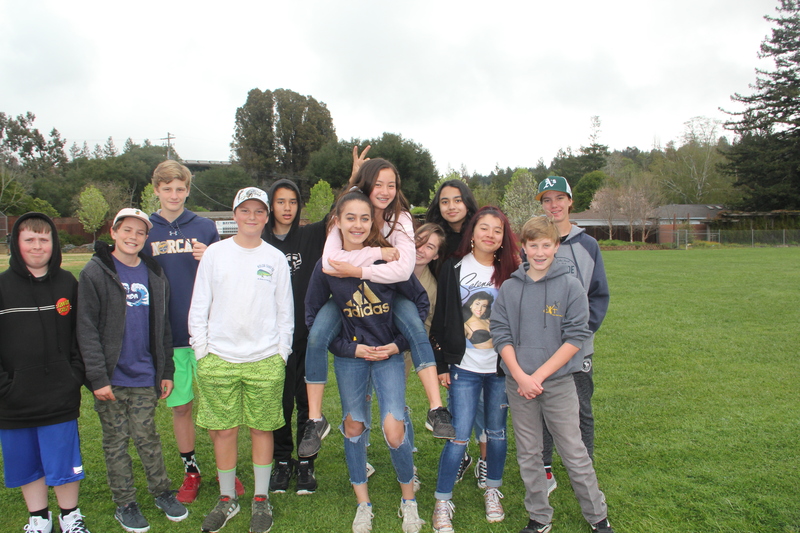 I truly fall in love with this class each semester as they are a special group of students who challenge themselves to learn a new skill, are curious, find beauty in the random, play, and laugh. 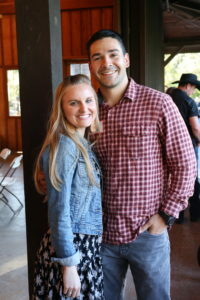 Recently, one of my past architecture students, a female Baymonte alumni, visited me and was beaming about her accepted entry into Cal Poly’s architecture program and how this elective inspired her to select that career. When you plant a seed and the Lord allows you to see it bloom, well…. 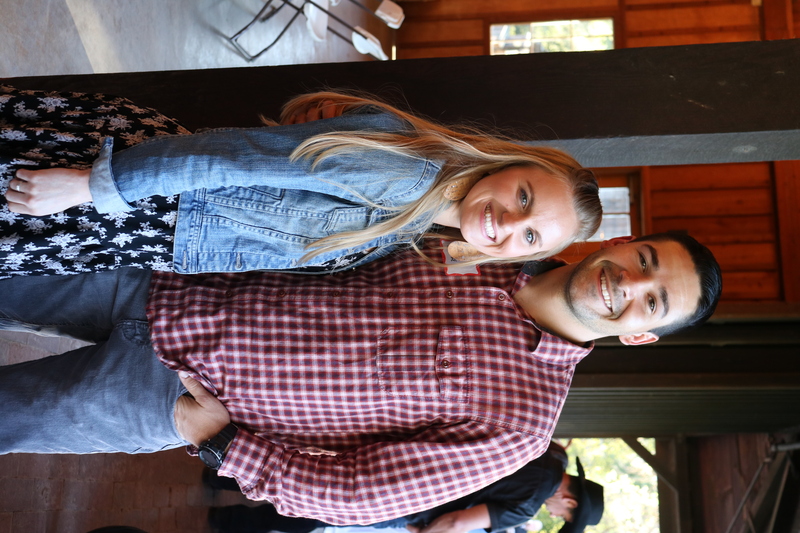 It doesn’t get any better than that! 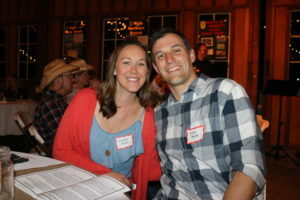 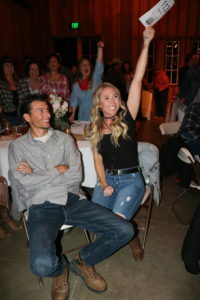 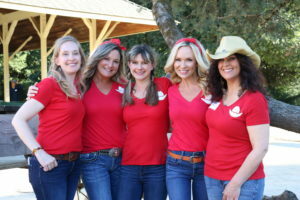 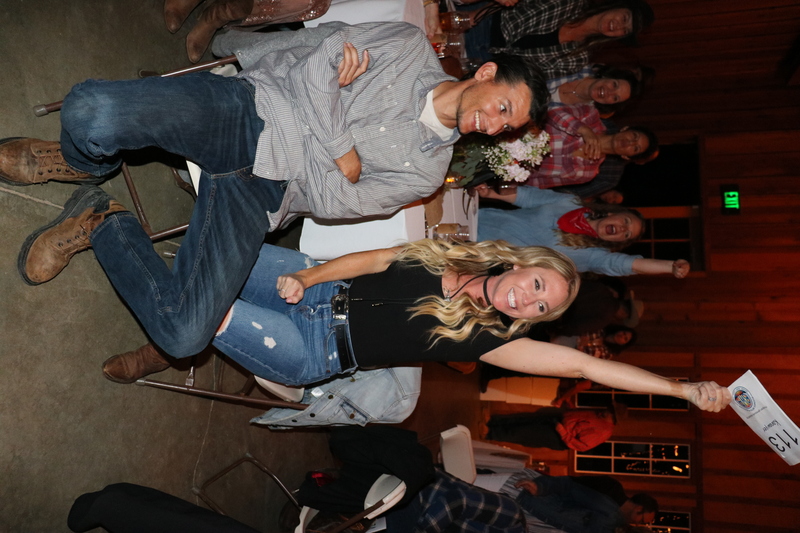 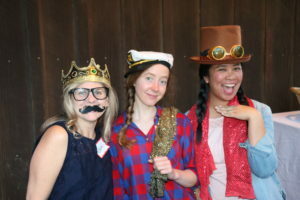 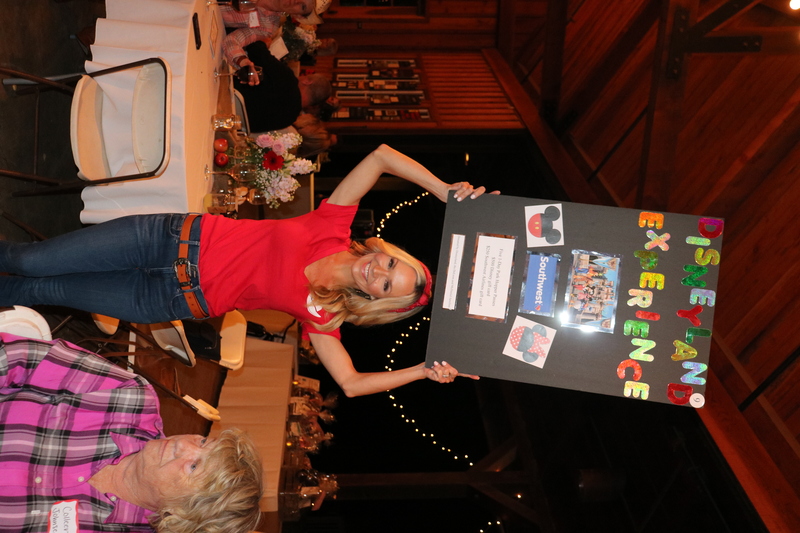 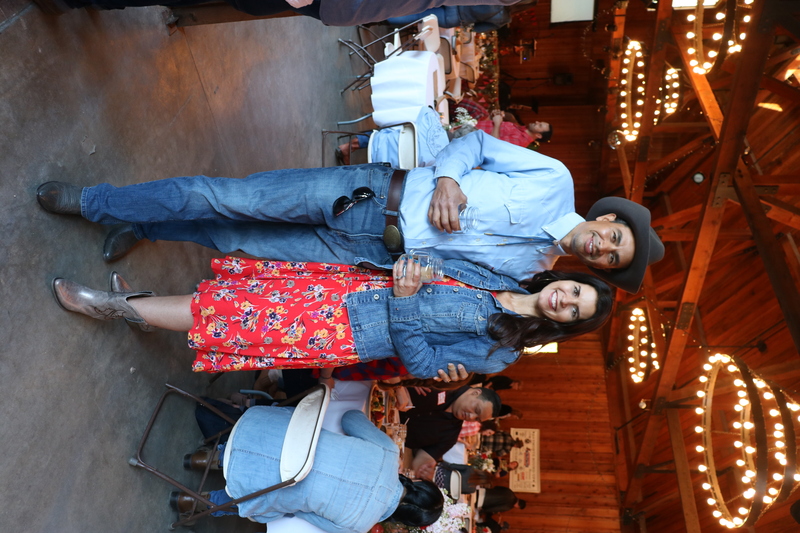 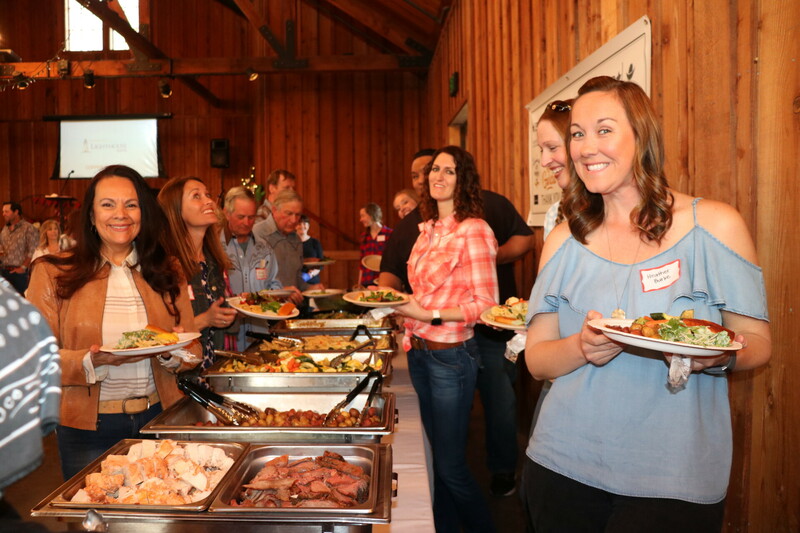 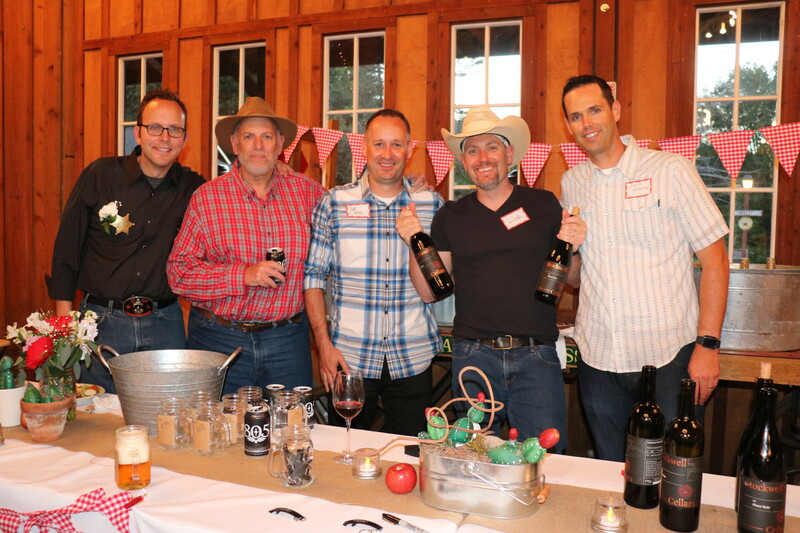 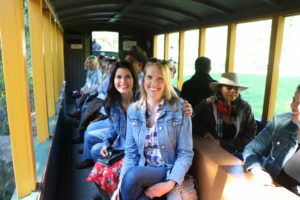 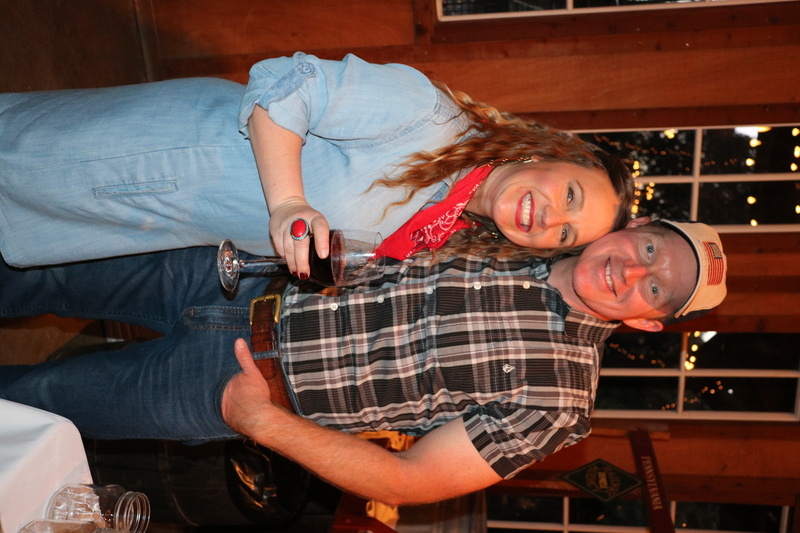 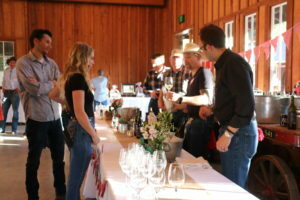 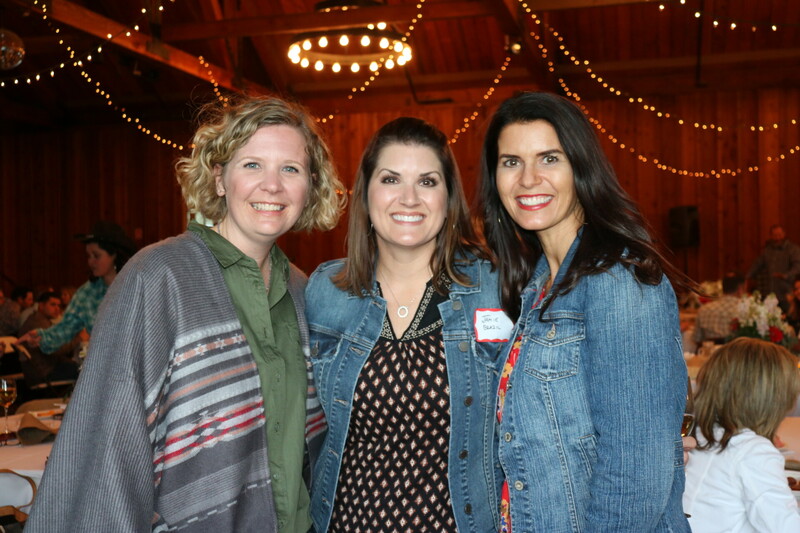 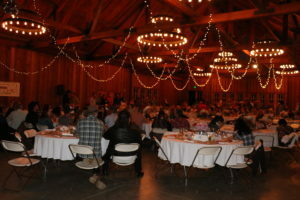 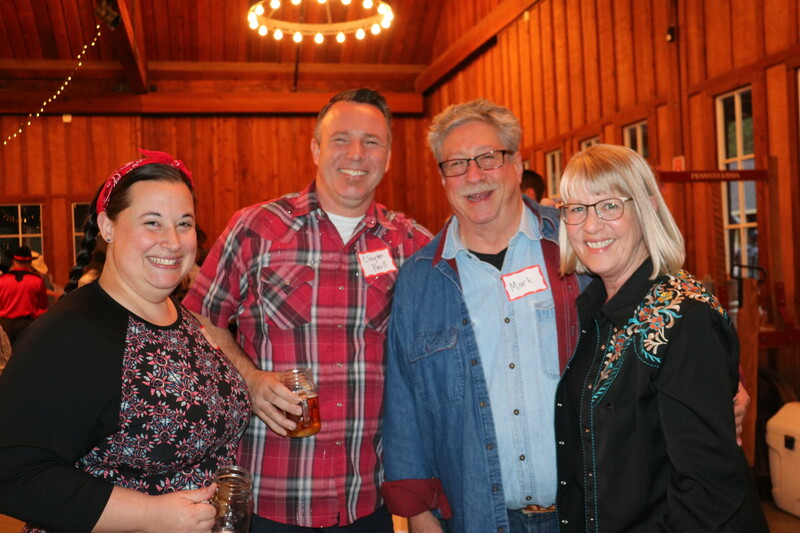 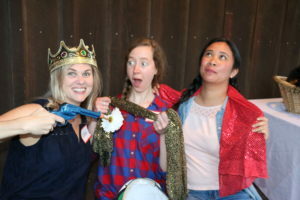 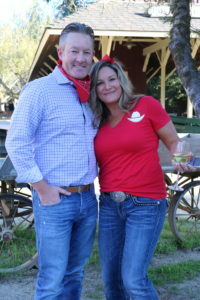 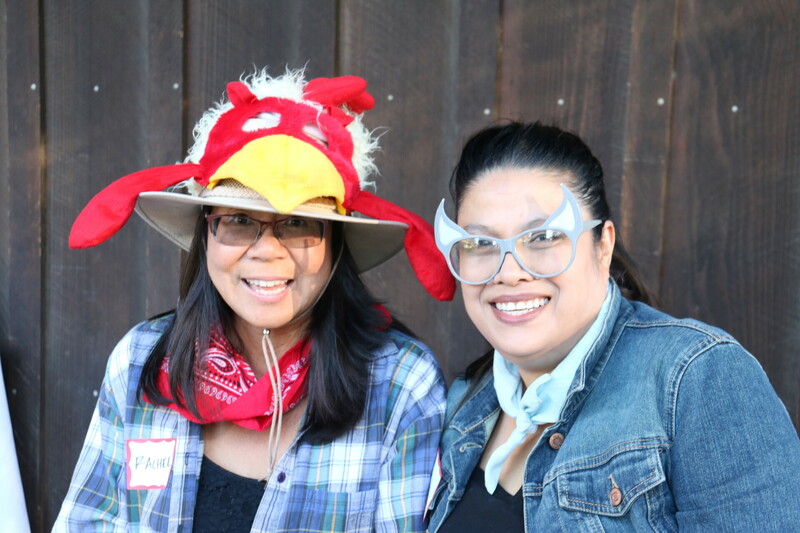 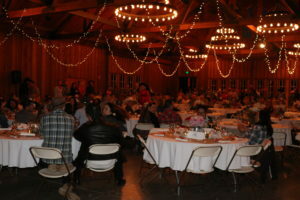 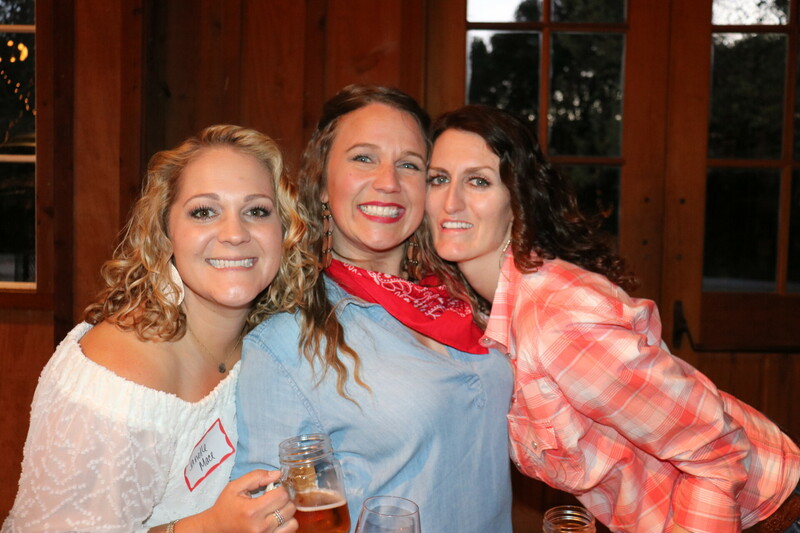 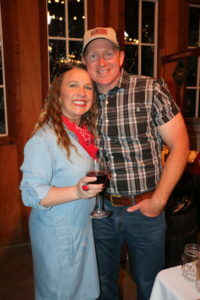 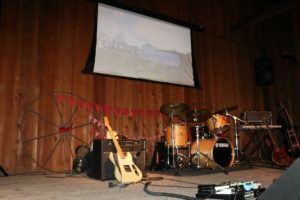 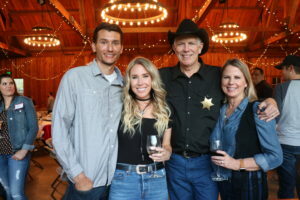 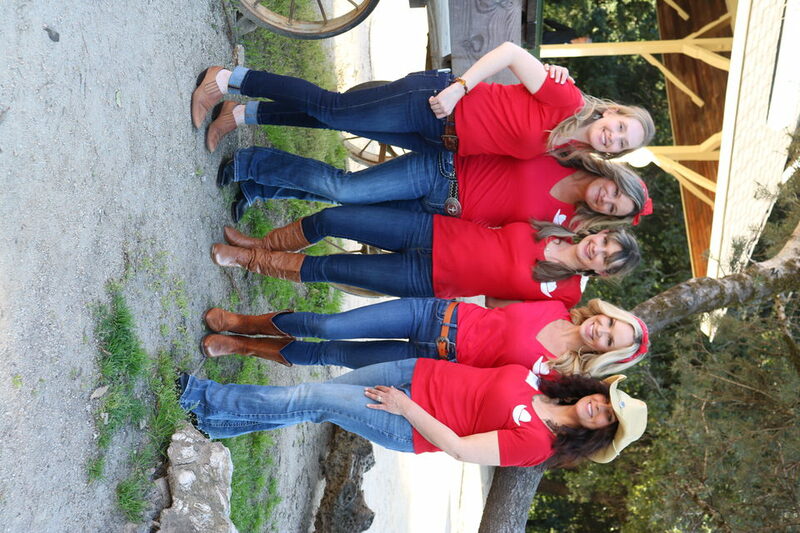 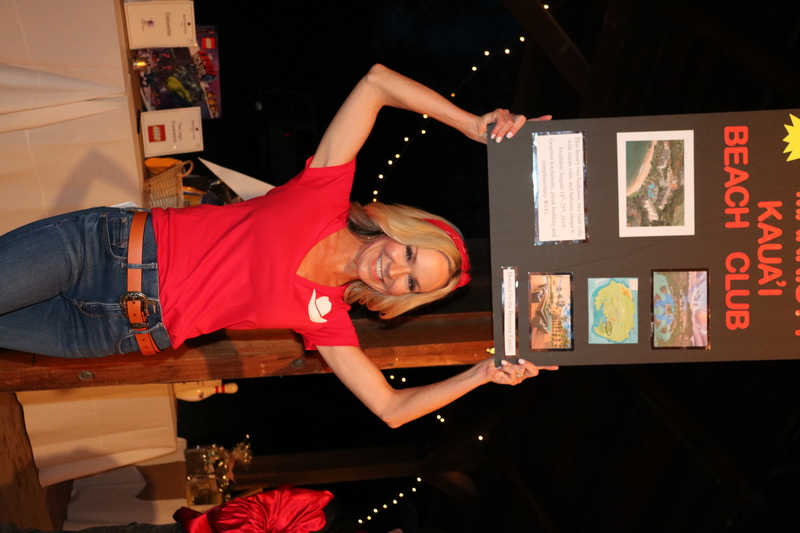 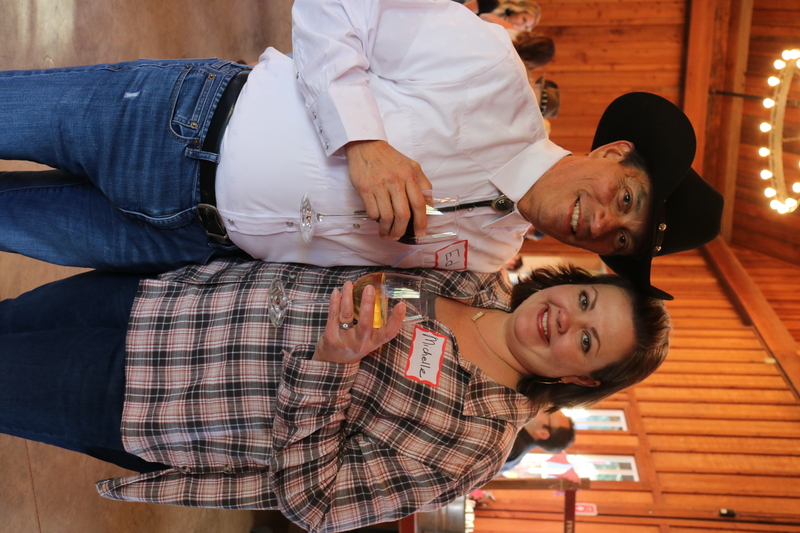 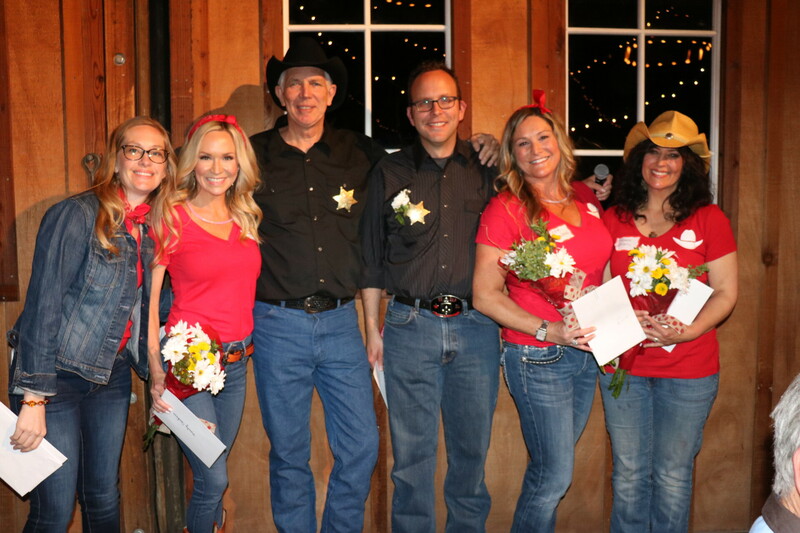 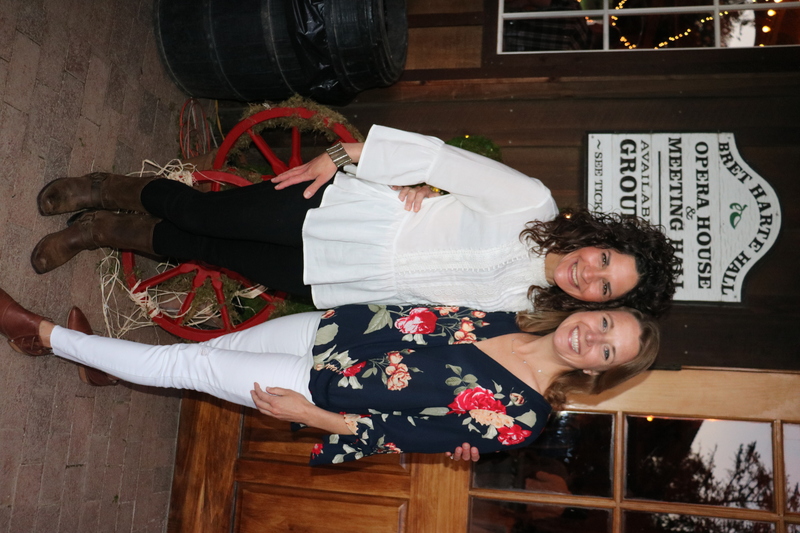 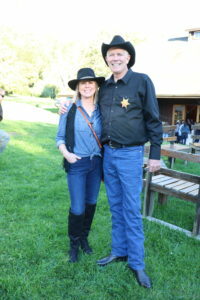 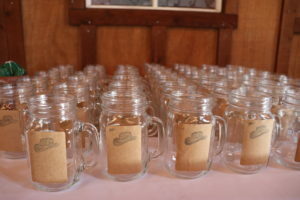 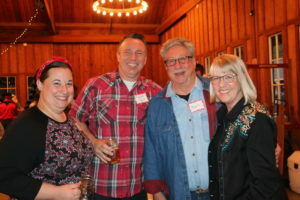 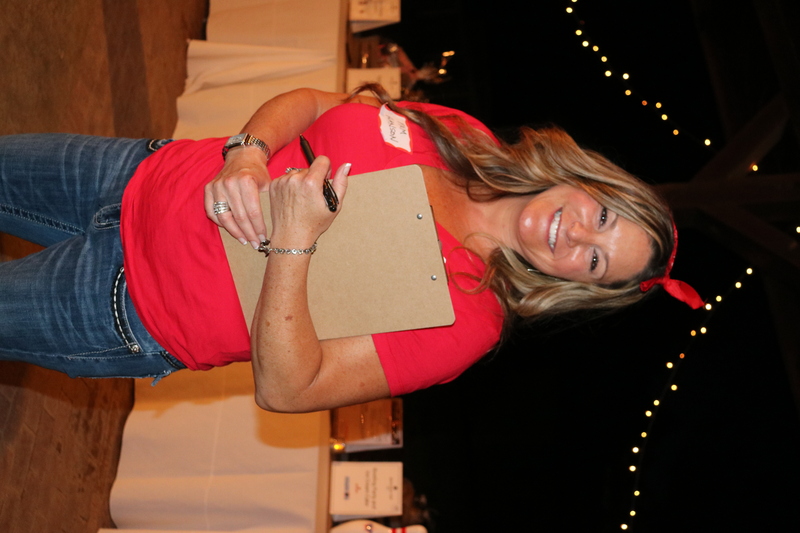 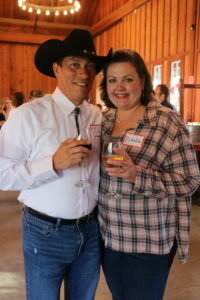 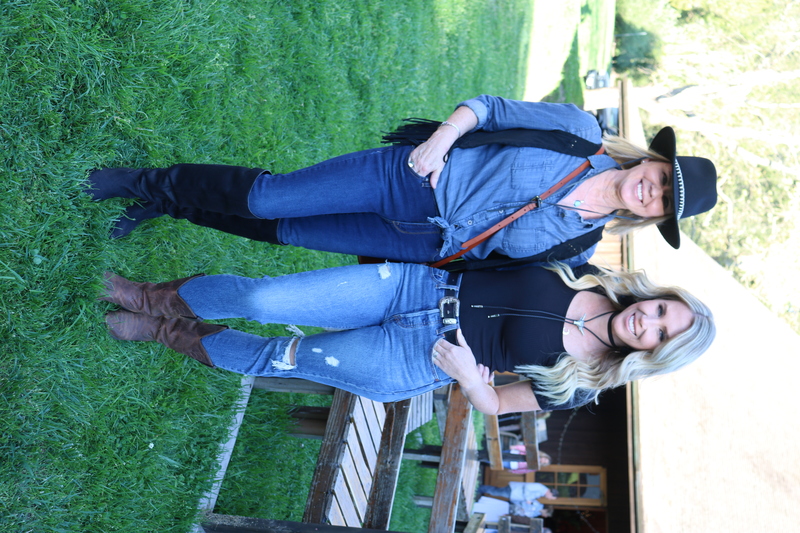 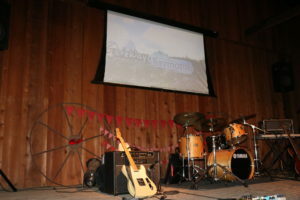 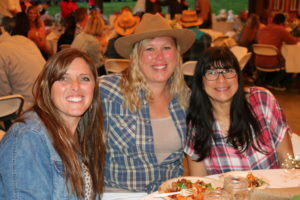 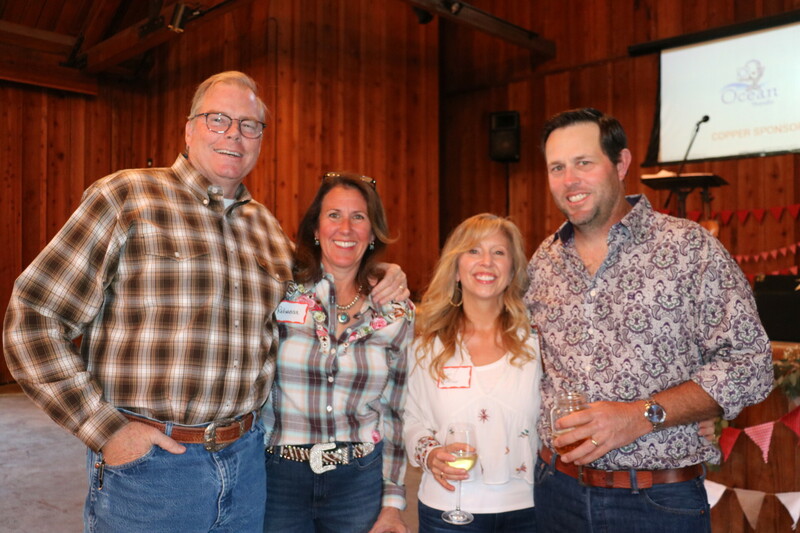 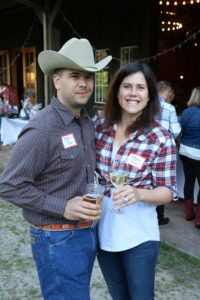 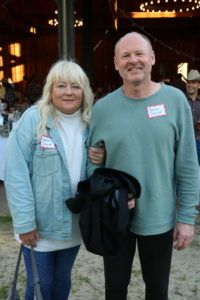 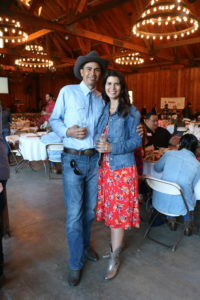 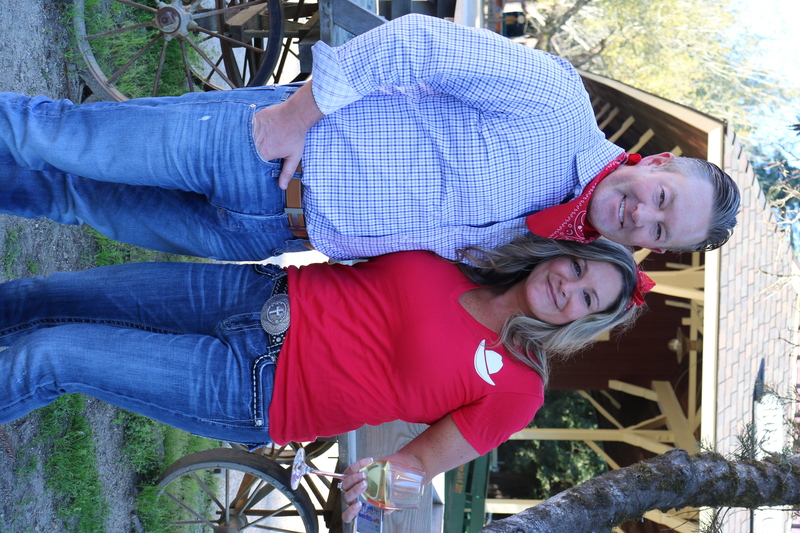 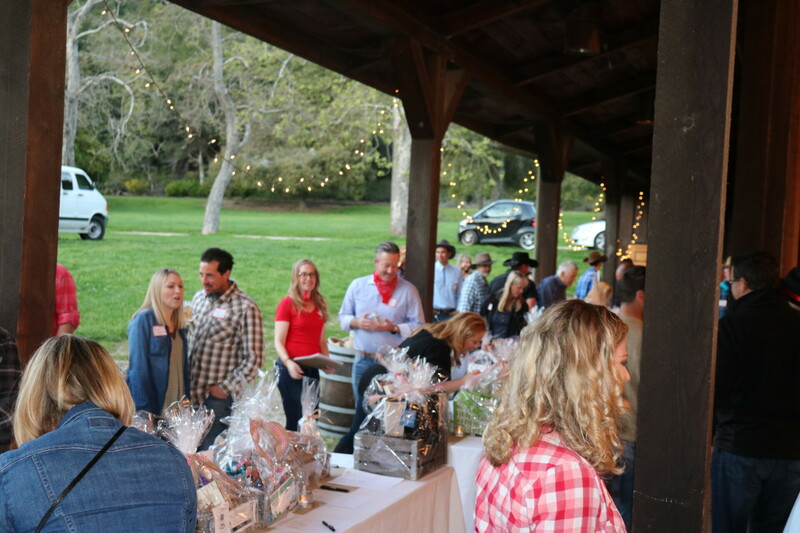 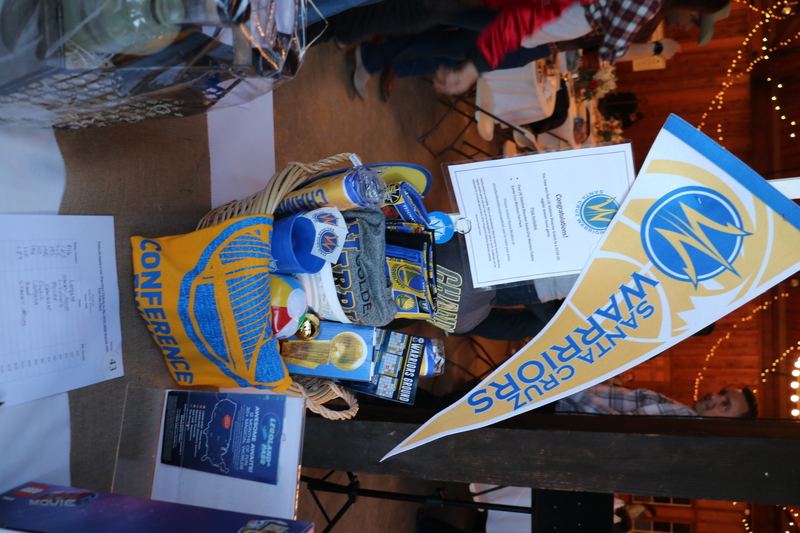 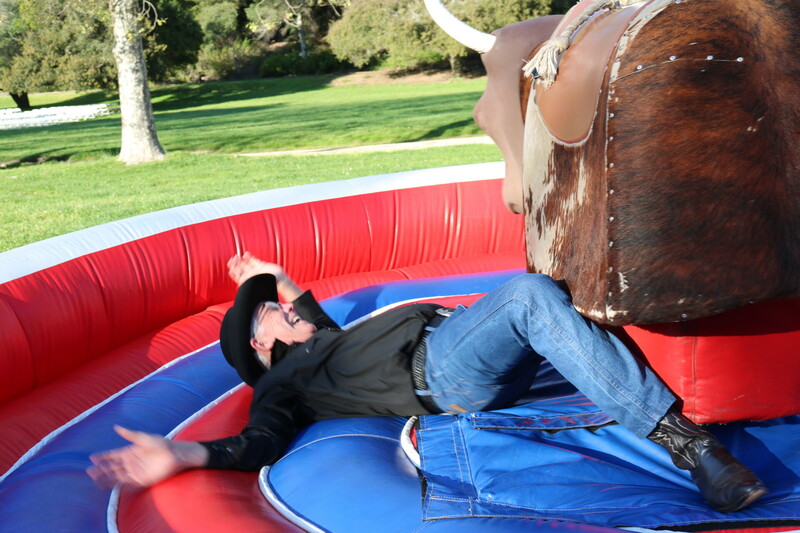 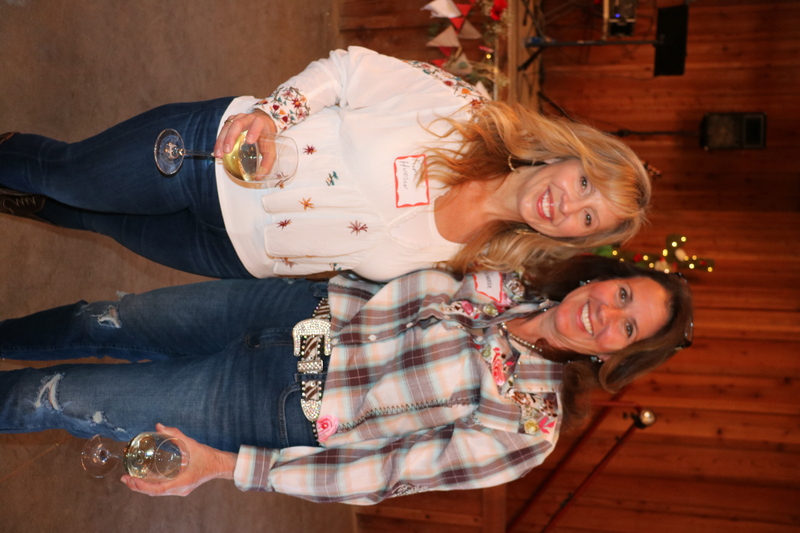 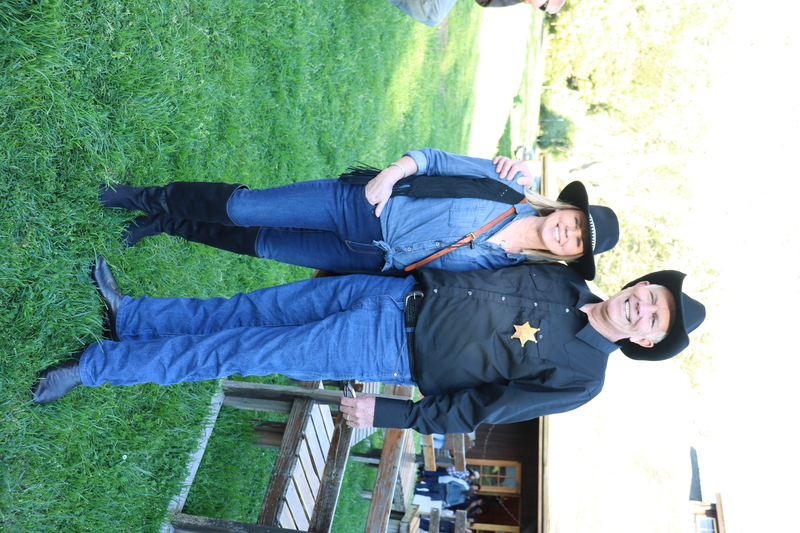 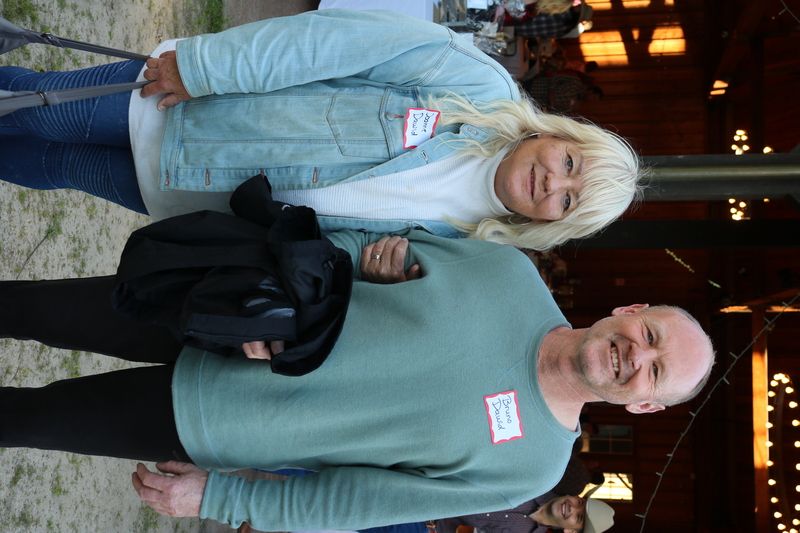 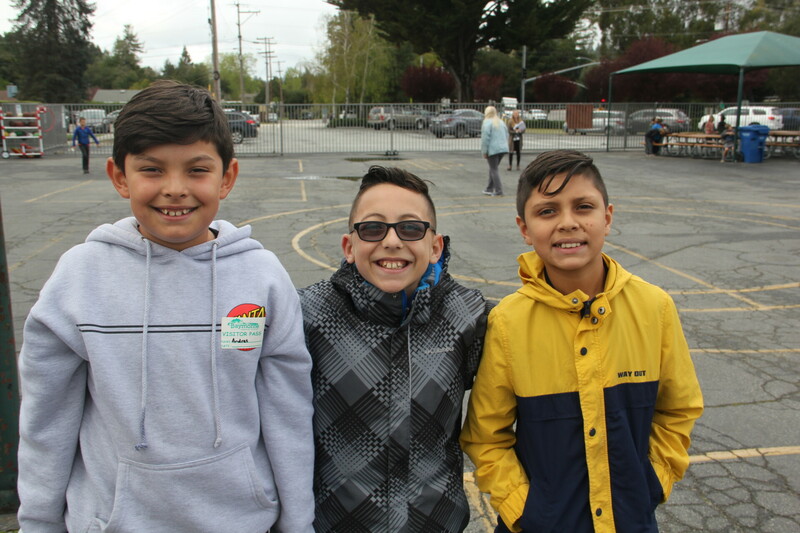 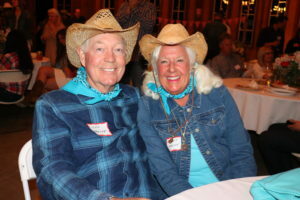 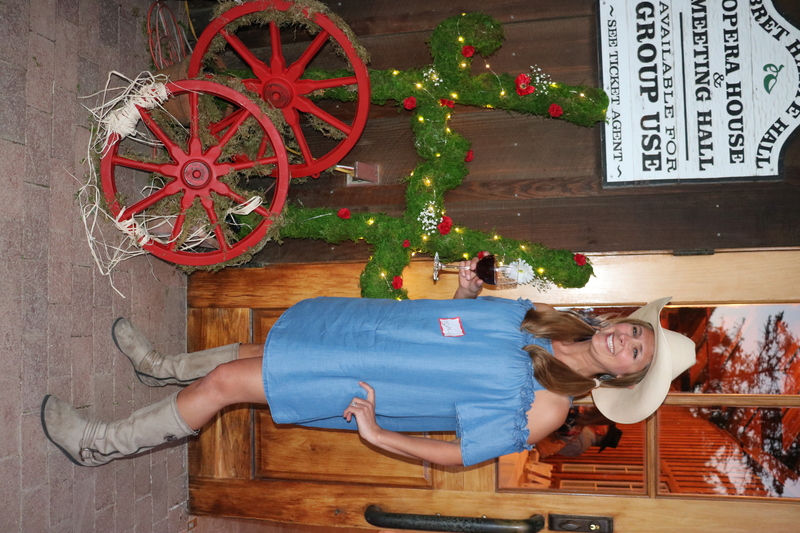 Baymonte’s Round-Up at Roaring Camp Railroads Friday was a beautiful event which not only brought hundreds of teachers, parents, and community members together but also was a successful fundraiser! 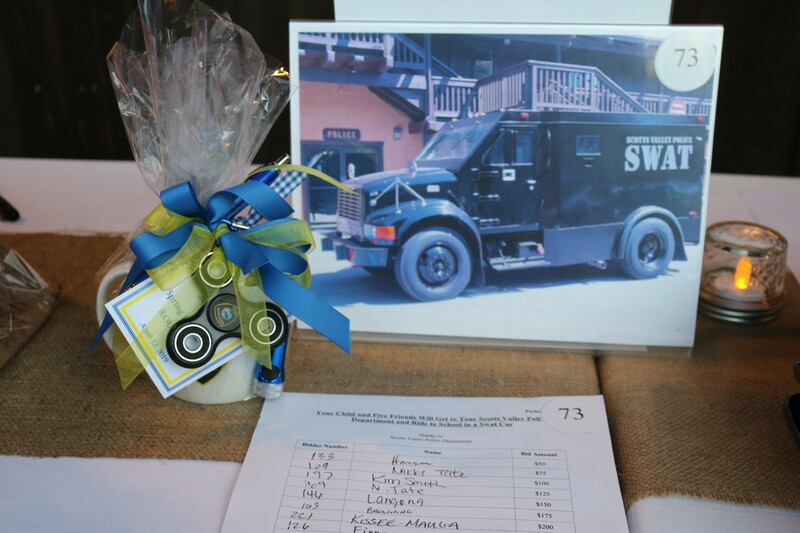 We look forward to announcing the proceeds soon. 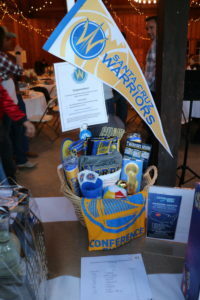 A special thank you goes to our sponsors, Central Coast Welding & Fabrication, Florence Kuo Home Care, Hudson Construction, Johnson Family, Lighthouse Bank, Lloyd’s Tire and Auto Care, Nordic Naturals, Ocean Honda, RW Garcia, Seaside Company, Stockwell Cellars, The Pied Piper Exterminators and Whiting’s Foods, in addition to the many businesses and individuals who generously supported the event. 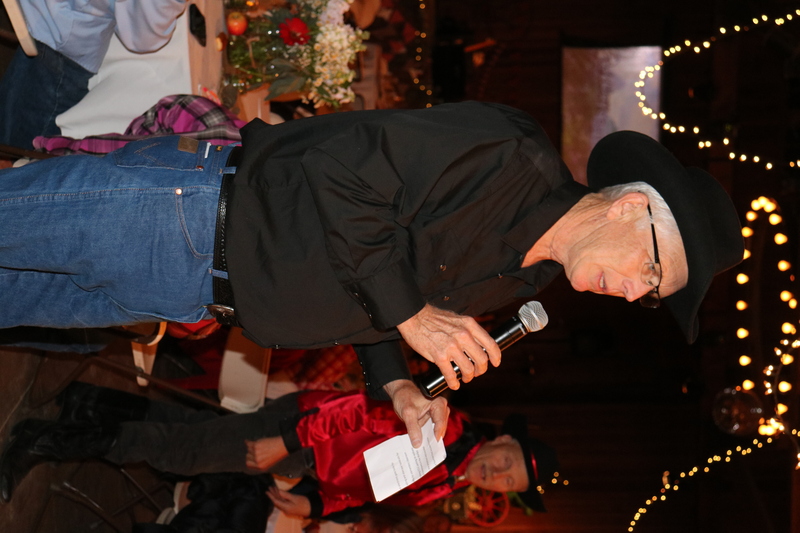 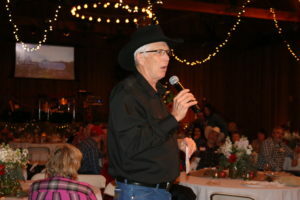 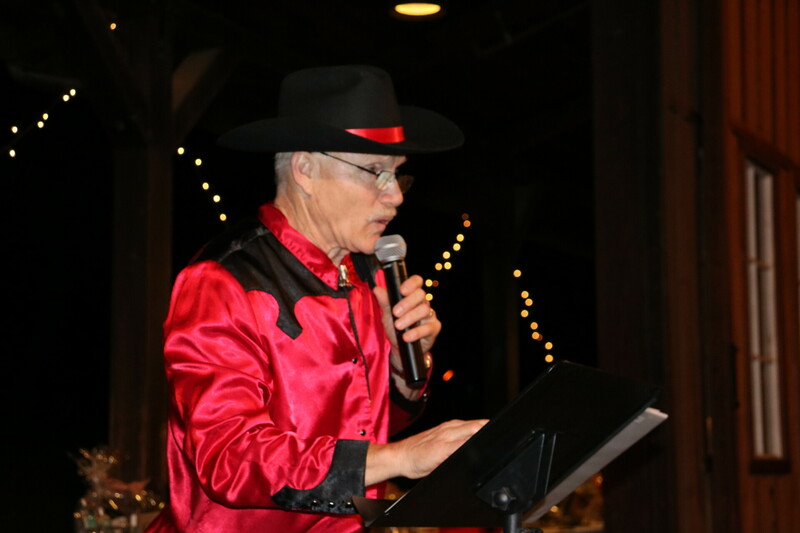 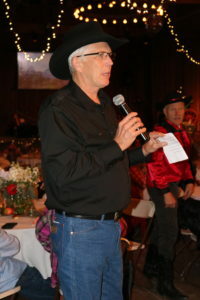 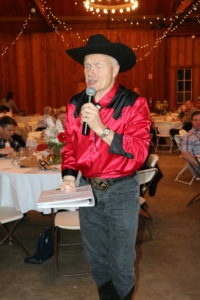 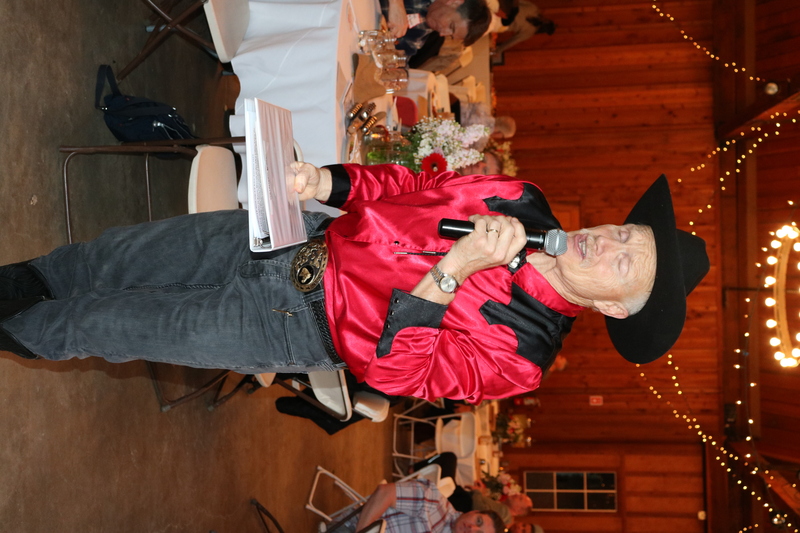 Rod Caborn, our lively auctioneer kept guests engaged while they enjoyed a delicious dinner provided by Mickey’s Catering accompanied by wine from Stockwell Cellars and beer from 805 (Firestone Walker Brewing Company). 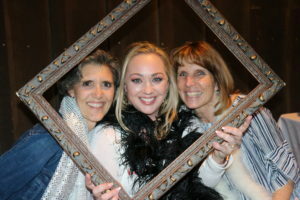 A photo booth by Show of Life Photo and live music by Heaven’s Hicks provided a memorable night for all. We are appreciative of our many volunteers and generous donors who contributed their time and money to this spectacular event. 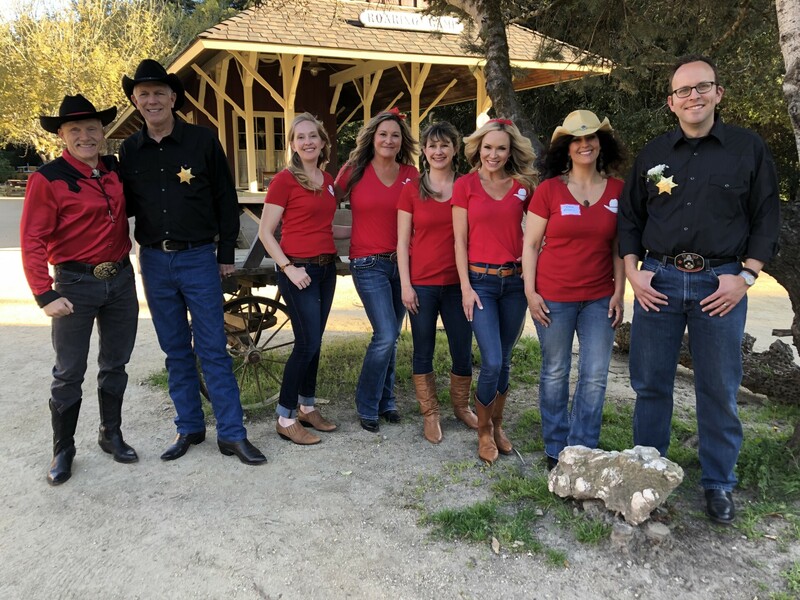 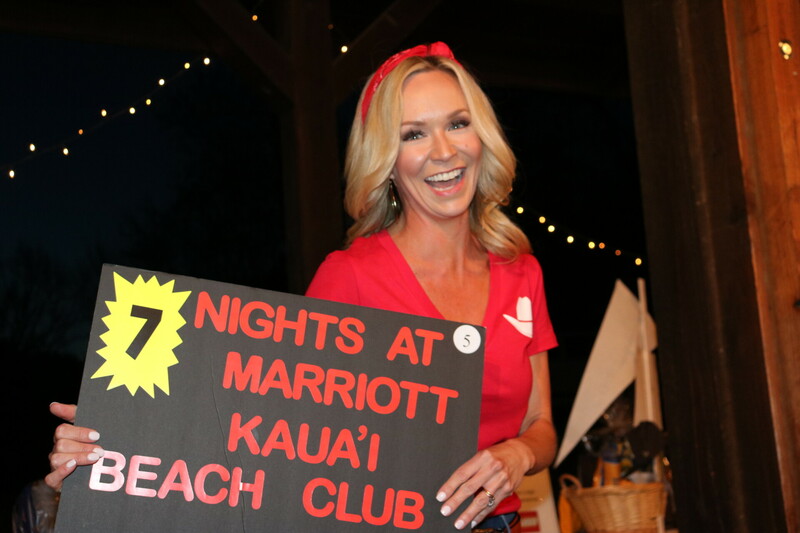 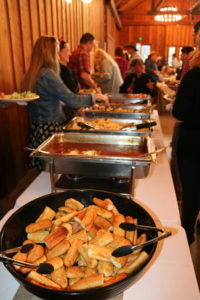 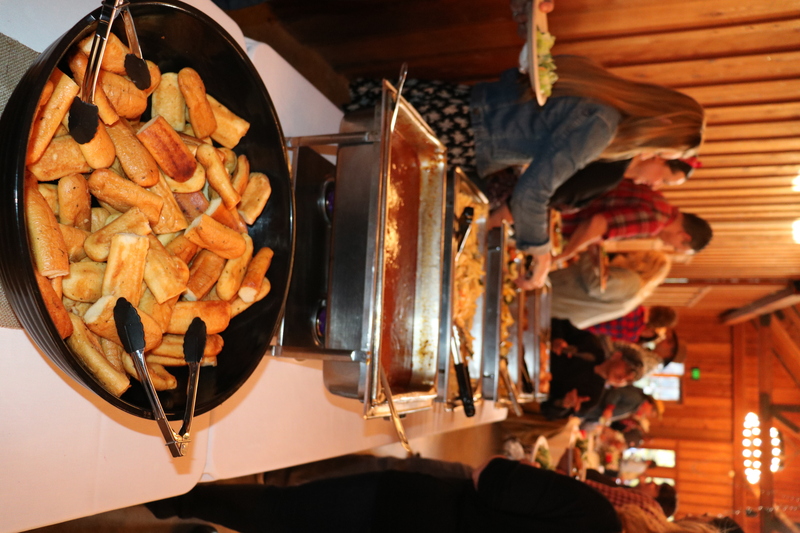 This event was made possible by the Round-Up committee comprised of Rod Caborn, Jeremy Geels, Pam Hanson, Stephanie Johnson, Teresa Olsen, Steve Patterson, Leslie Rapolla and Mandy Sackett. 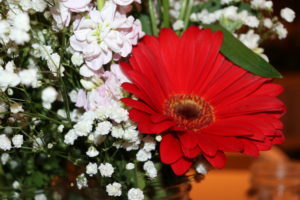 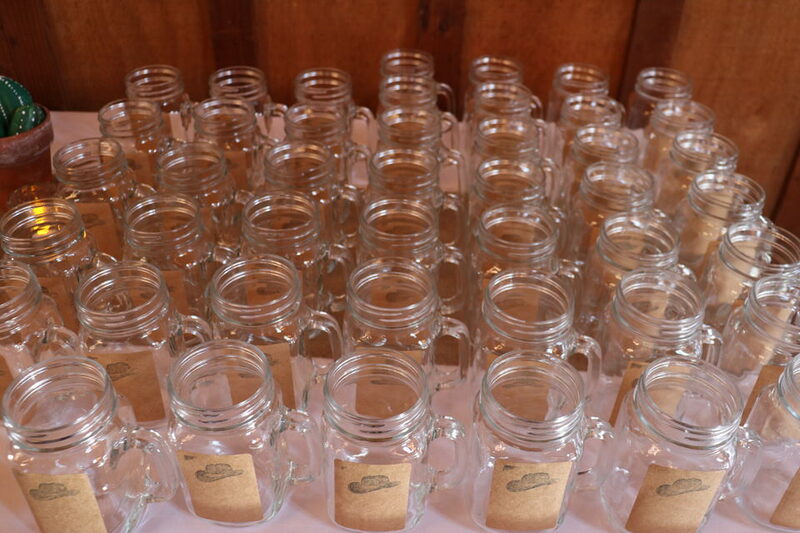 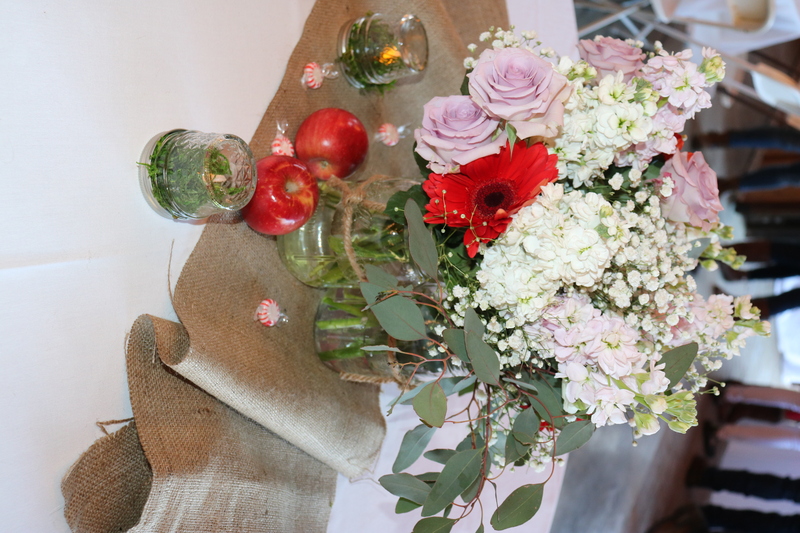 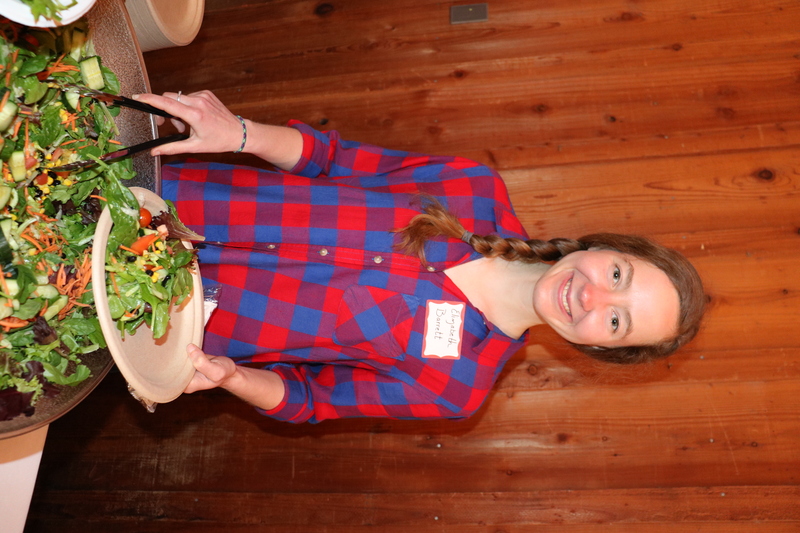 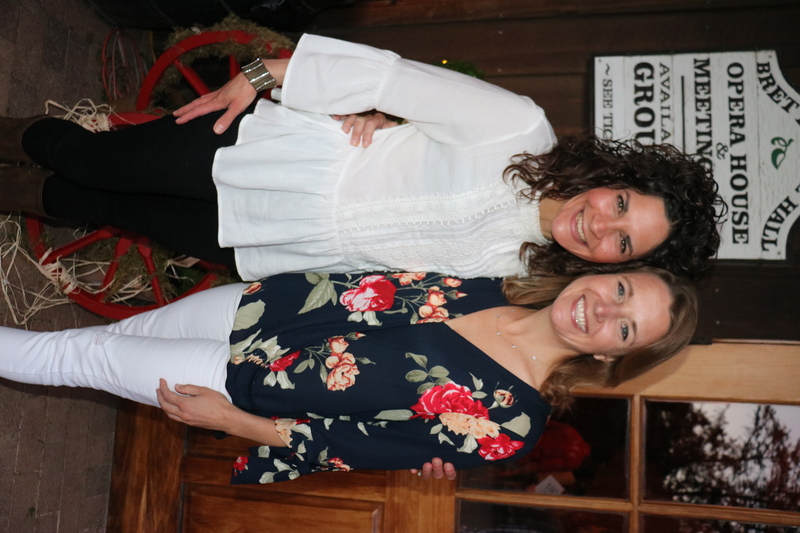 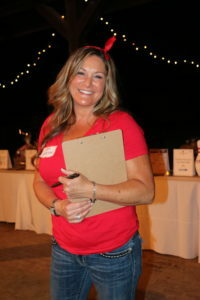 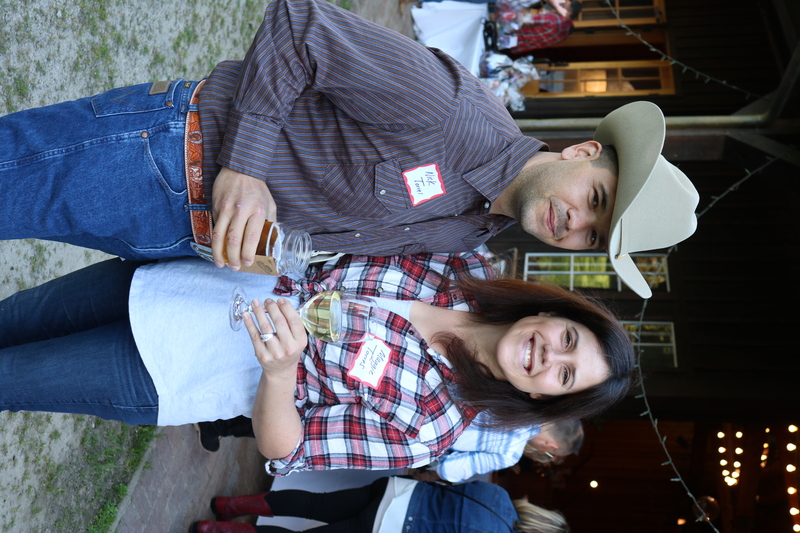 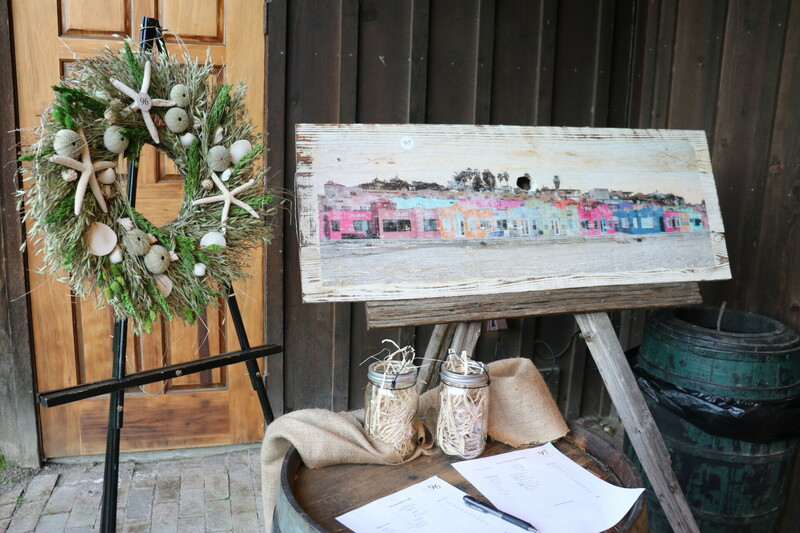 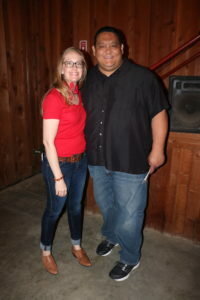 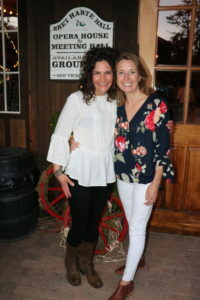 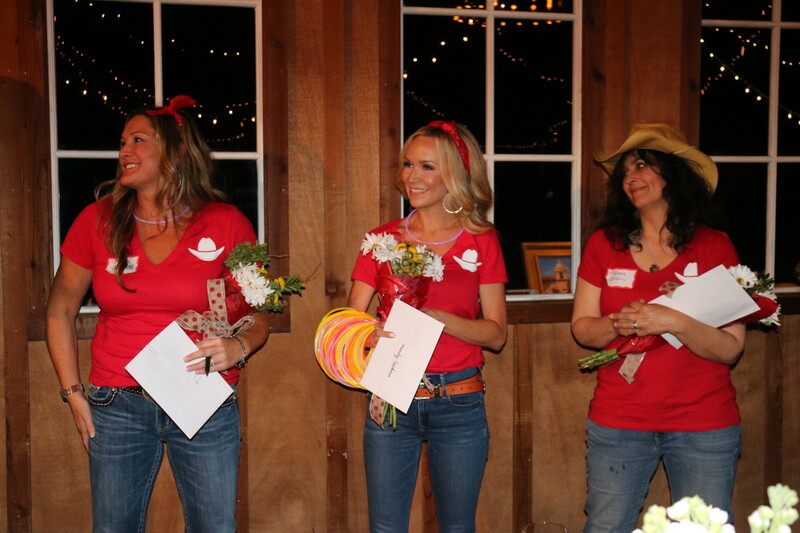 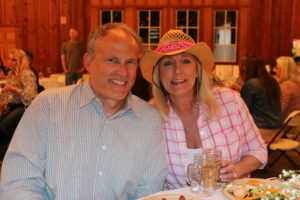 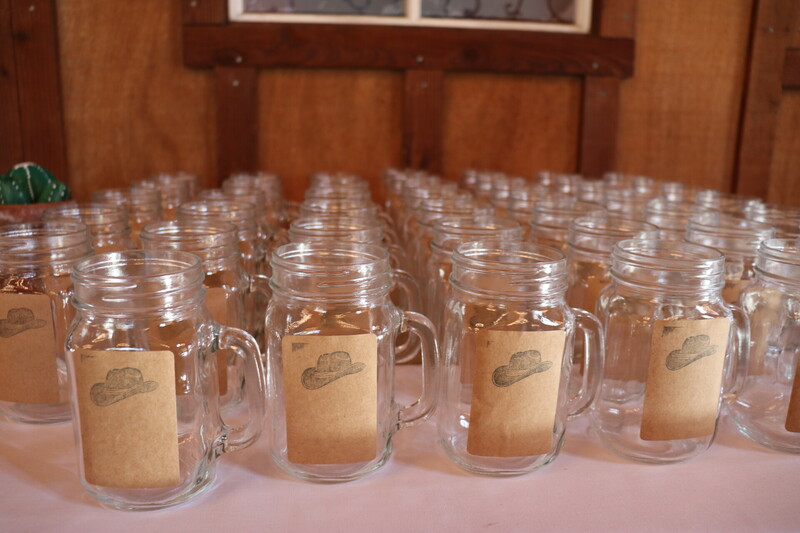 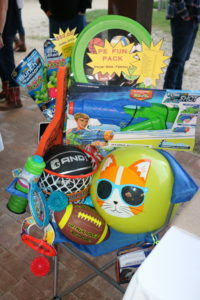 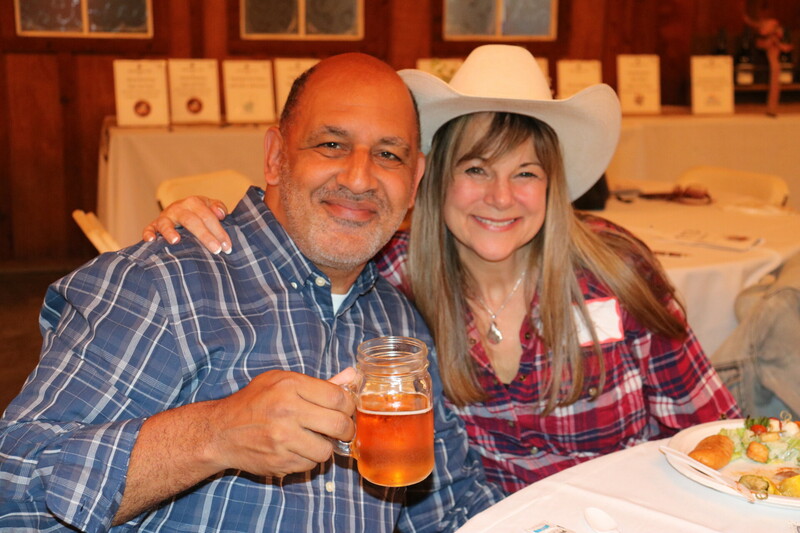 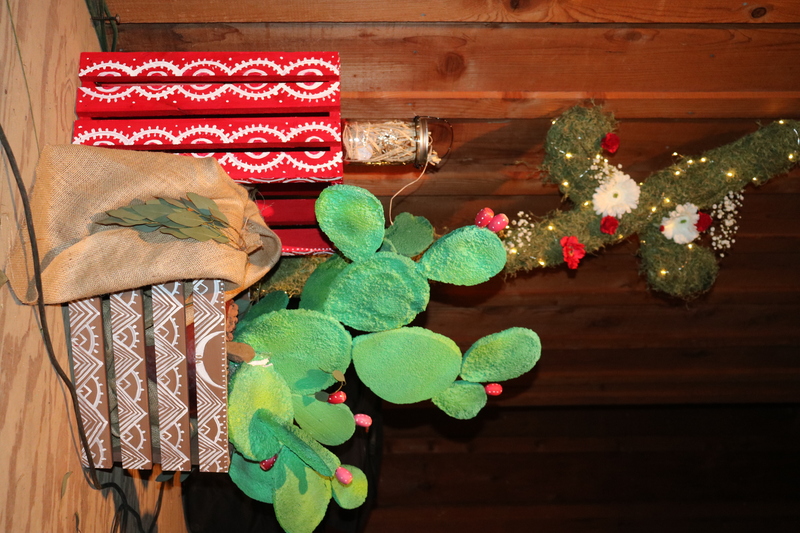 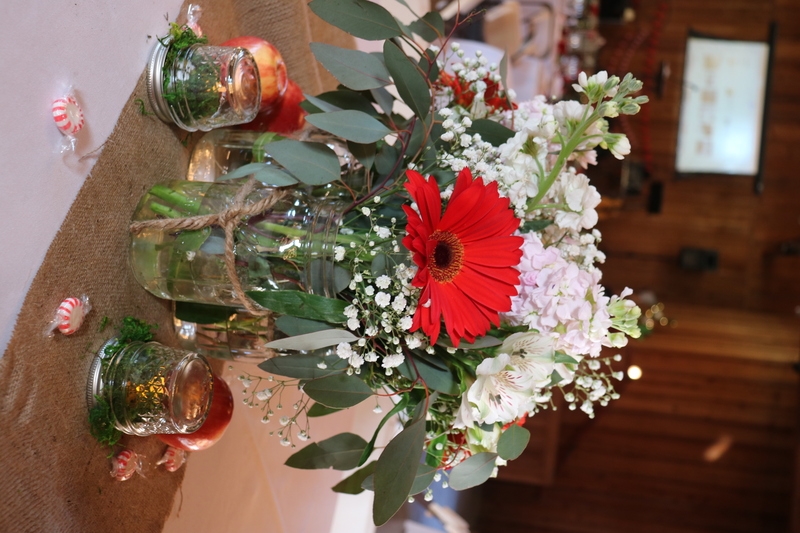 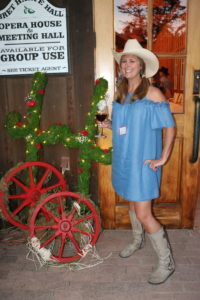 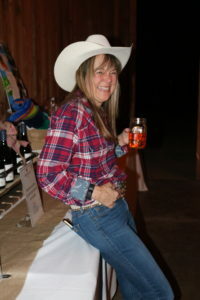 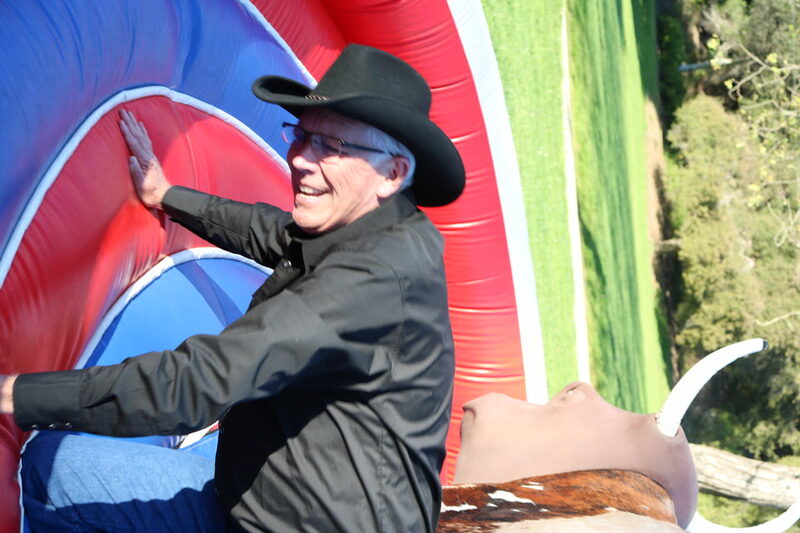 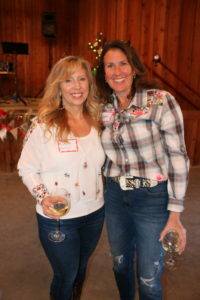 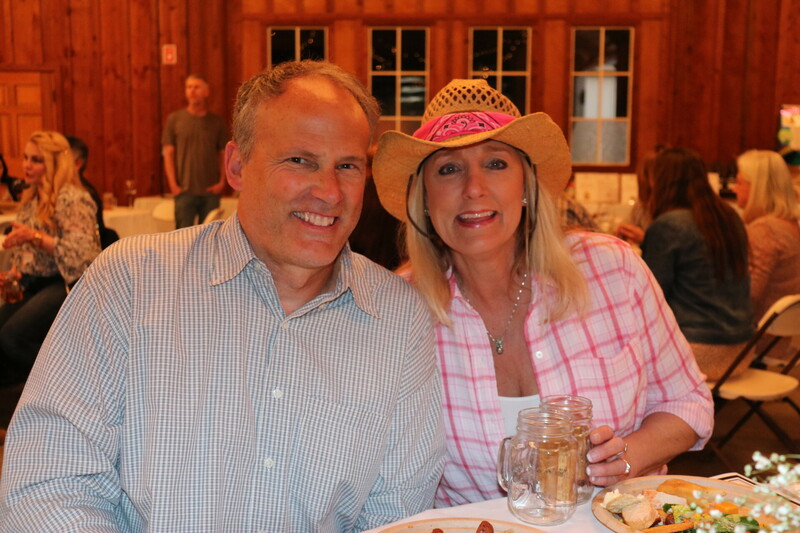 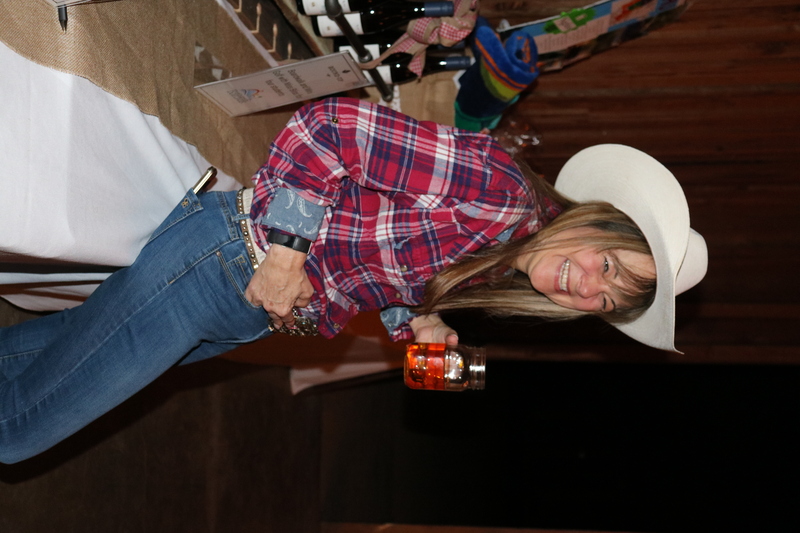 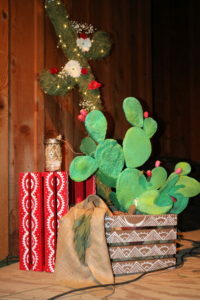 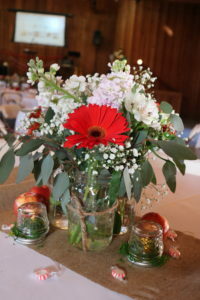 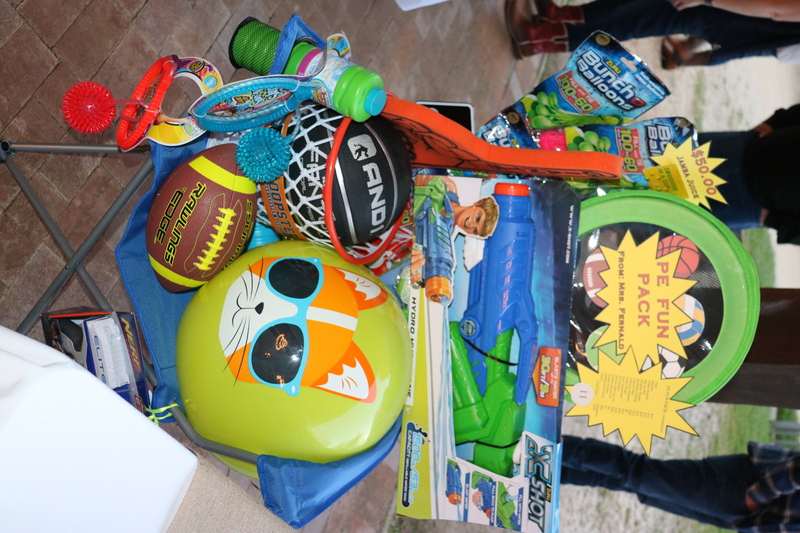 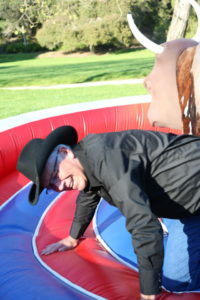 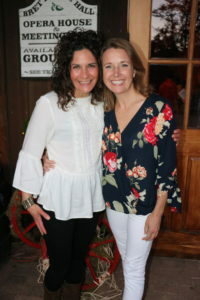 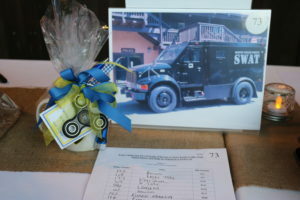 A big thank you to Patrice Fernald for taking such beautiful photos of the Round-Up fun! 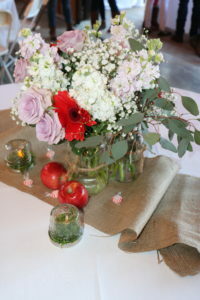 Thank You An Epicurious Lifestyle! 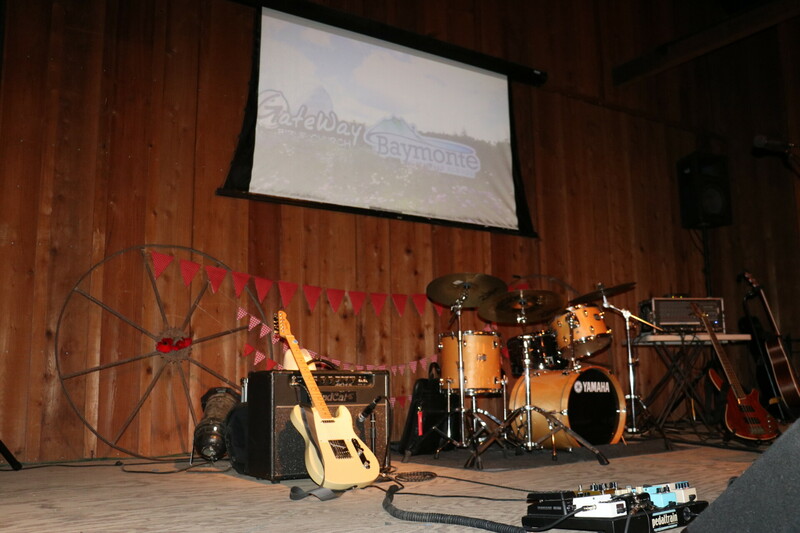 We would like to thank An Epicurious Lifestyle for their generous sponsorship of Baymonte Christian School’s 2019 Round-Up fundraiser! 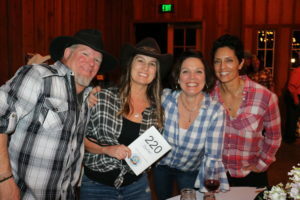 We would like to thank Lighthouse Bank for their generous sponsorship of Baymonte Christian School’s 2019 Round-Up fundraiser! 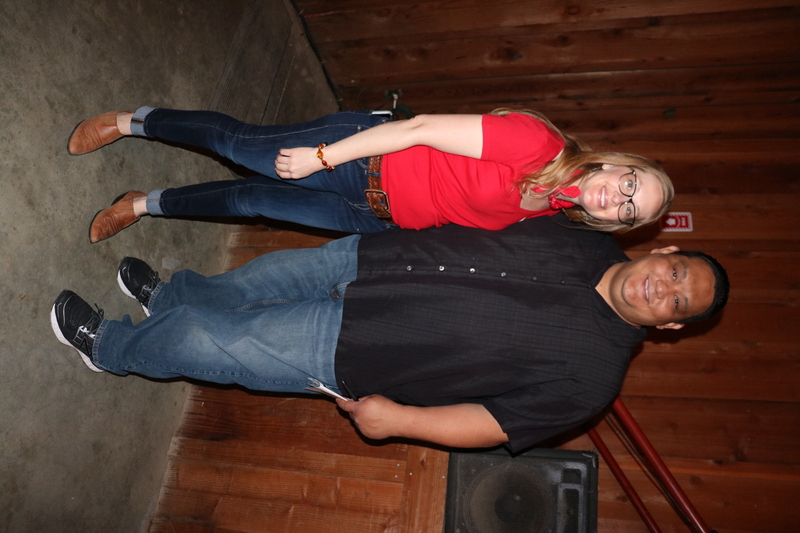 Thank You Lloyd’s Tire and Auto Care! 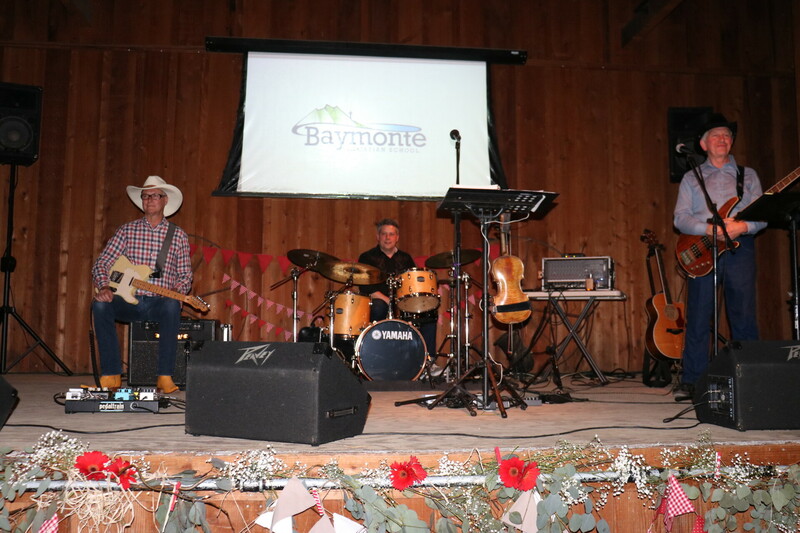 We would like to thank Lloyd’s Tire and Auto Care for their generous sponsorship of Baymonte Christian School’s 2019 Round-Up fundraiser! 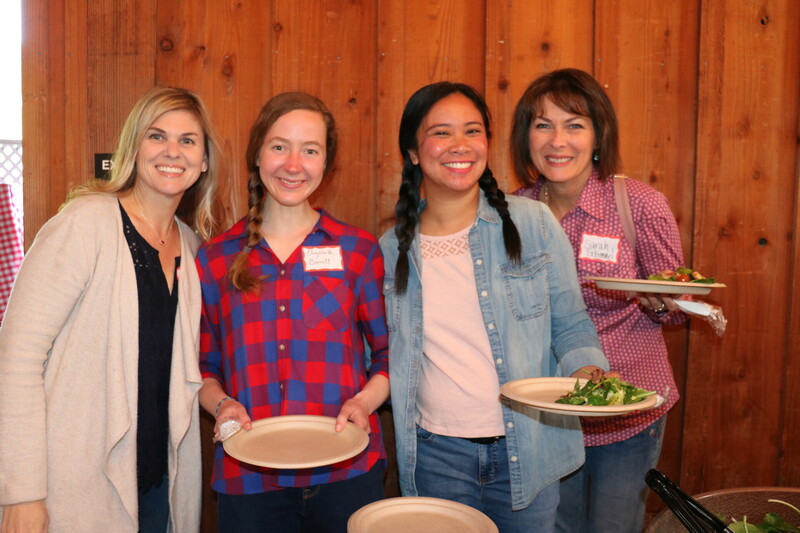 Baymonte Christian School celebrated Western Wear Spirit Day with an all-school dress up and coffee social hosted by PTF (Parent Teacher Fellowship). 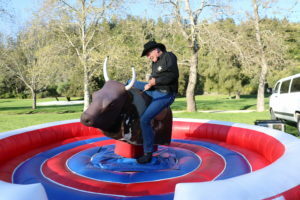 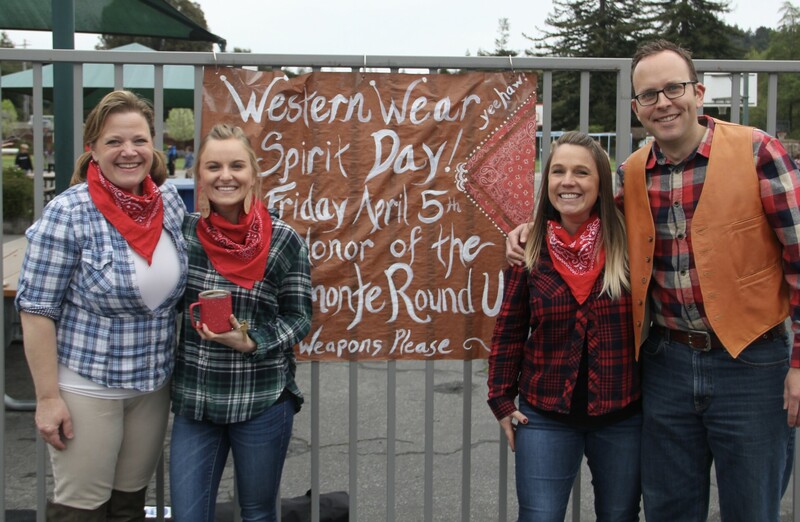 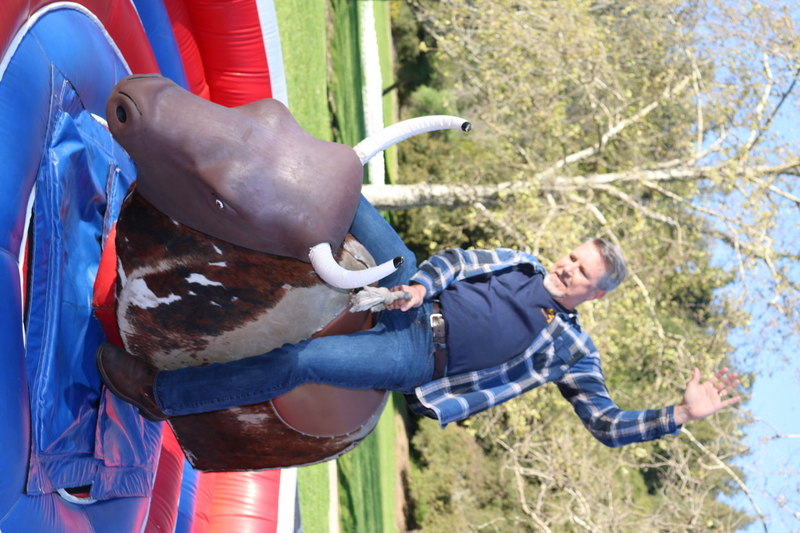 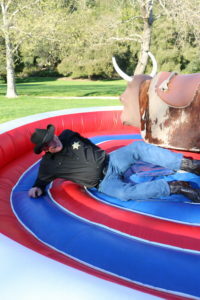 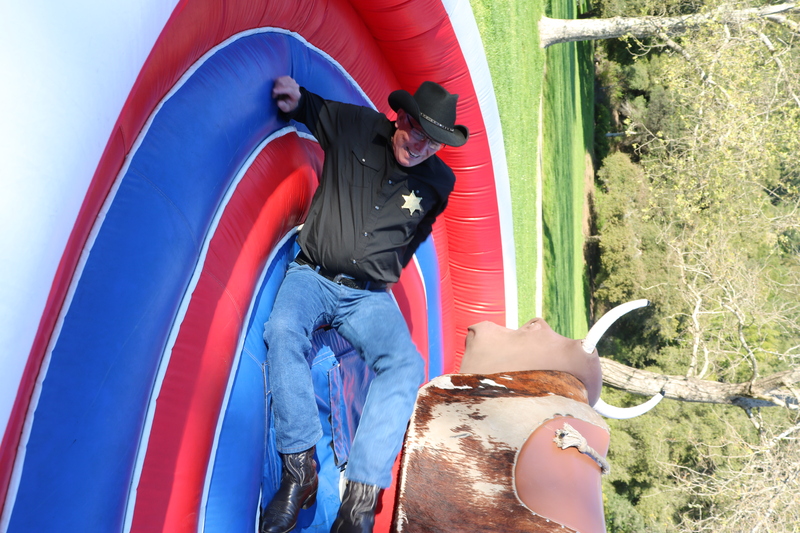 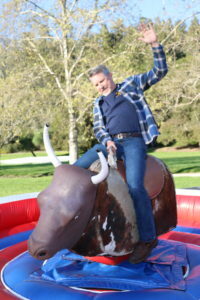 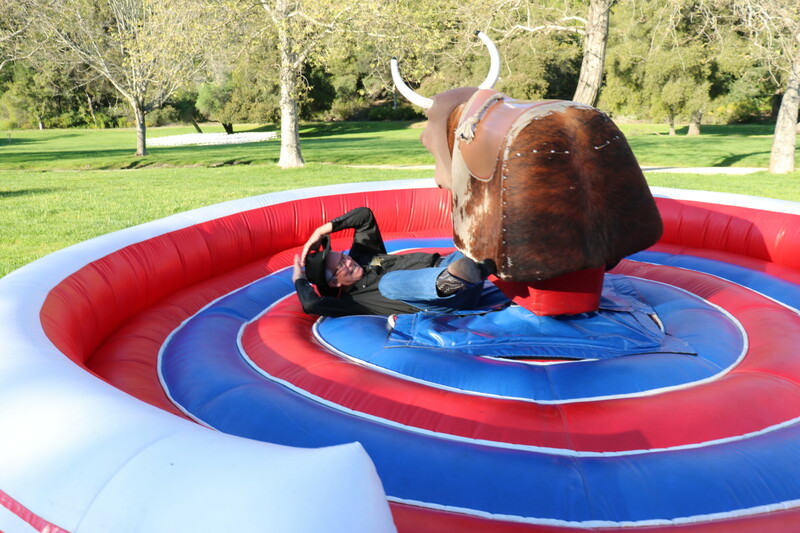 The spirit day is in honor of the Baymonte Round-Up coming up next Friday, April 12 at Roaring Camp. For tickets to the Round-Up visit Baymonte’s website (www.baymonte.org). 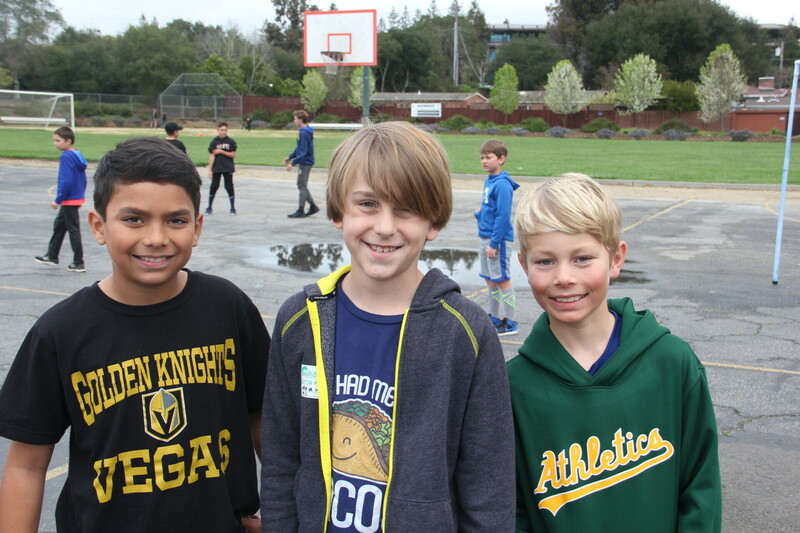 Baymonte Christian School hosted Bring A Friend To School Day this week. 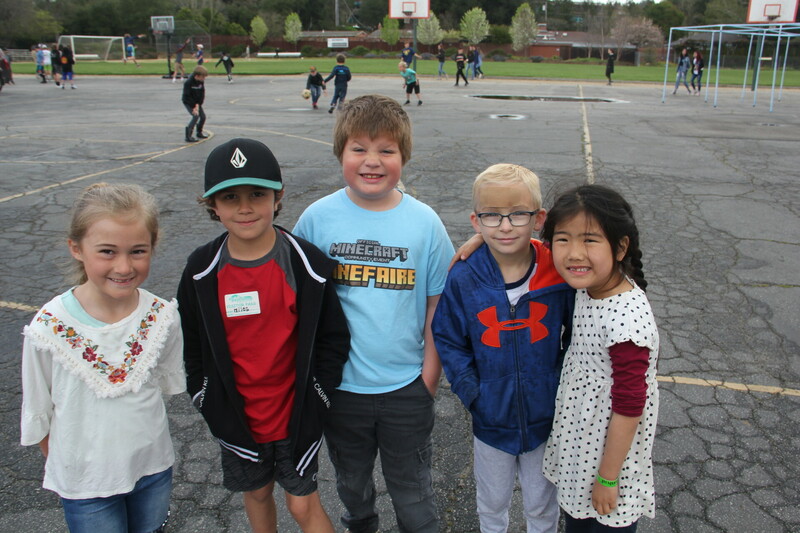 Kindergartner through eighth grade guests visited our campus for the morning where they attended class and chapel with their BCS buddy and enjoyed complimentary burgers from Two Doors Restaurant. Thank You Florence Kuo Home Care! 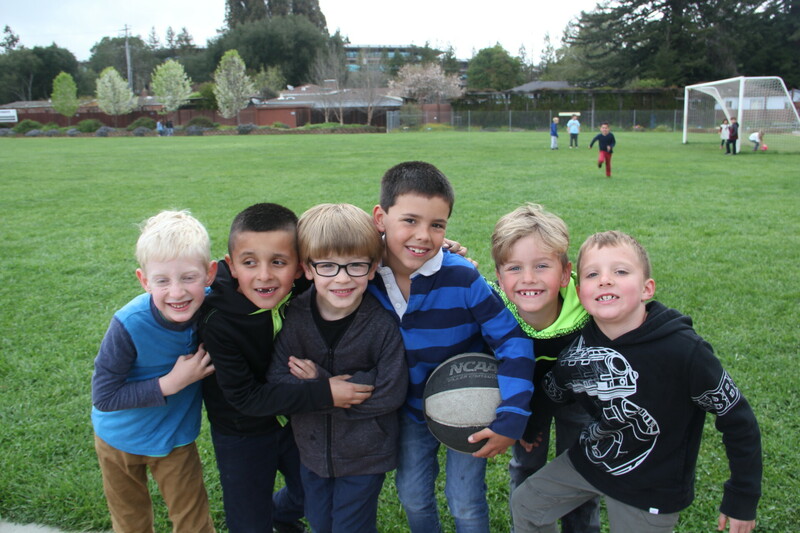 We would like to thank Florence Kuo Home Care for their generous sponsorship of Baymonte Christian School’s 2019 Round-Up fundraiser! 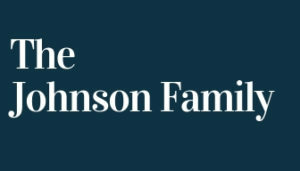 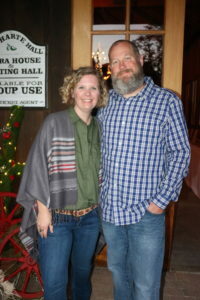 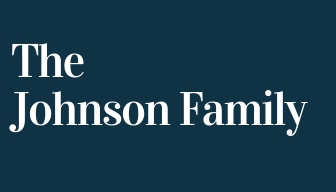 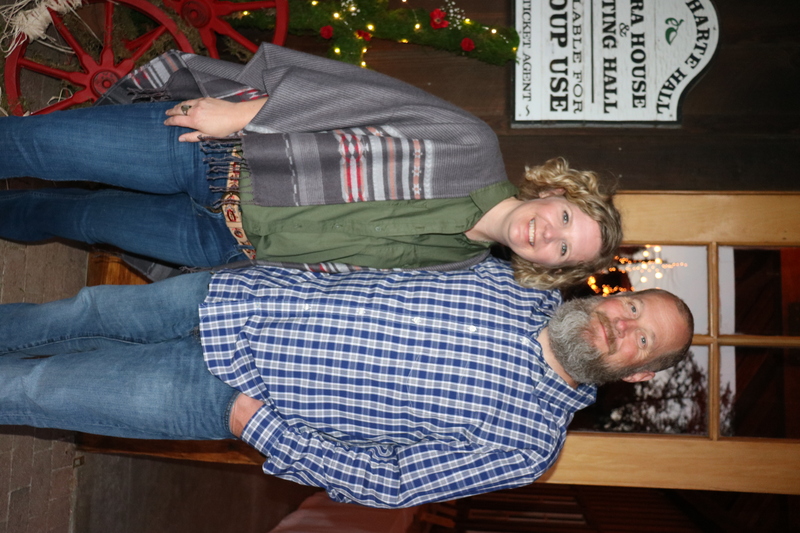 We would like to thank the Johnson family for their generous sponsorship of Baymonte Christian School’s 2019 Round-Up fundraiser!